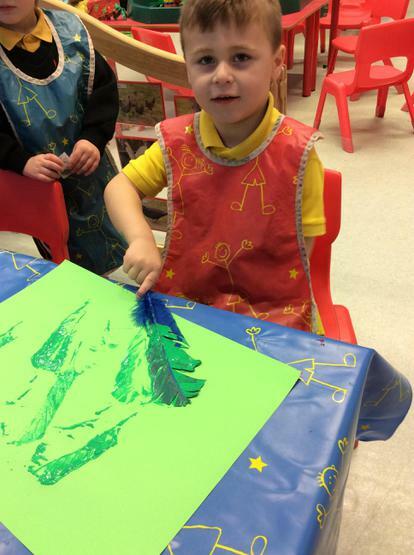 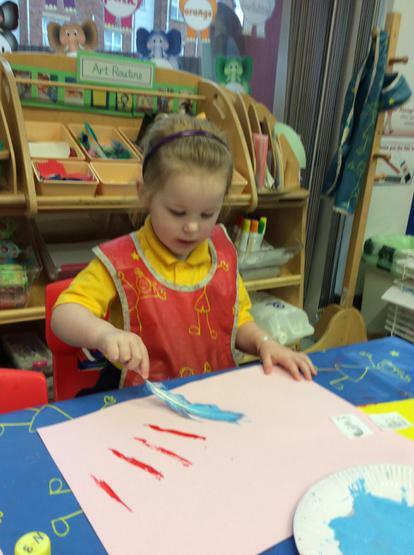 We enjoyed painting with feathers! 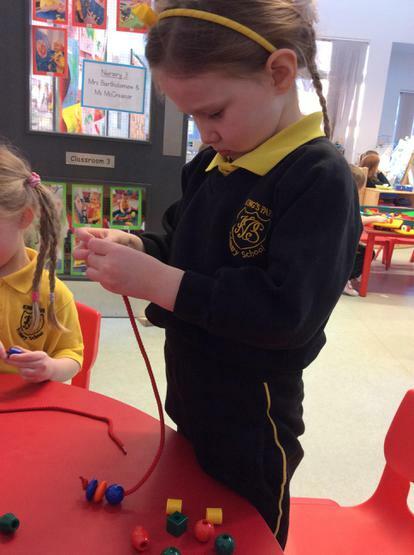 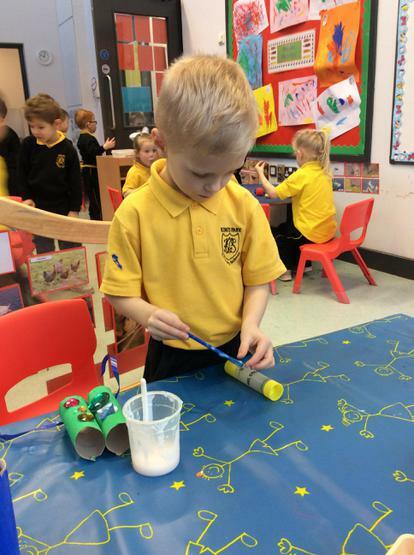 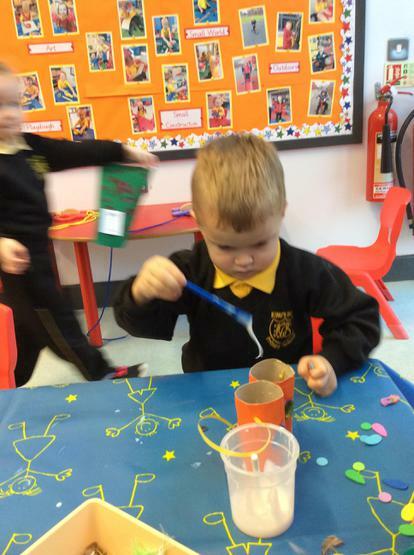 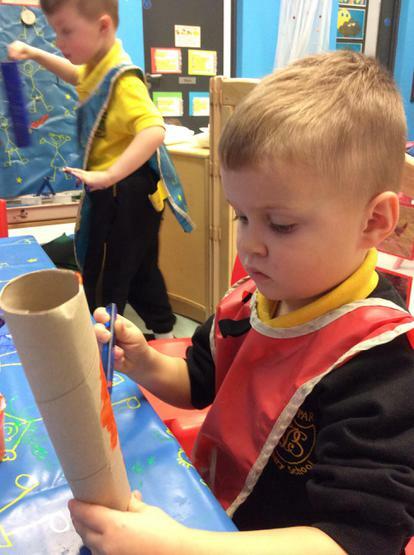 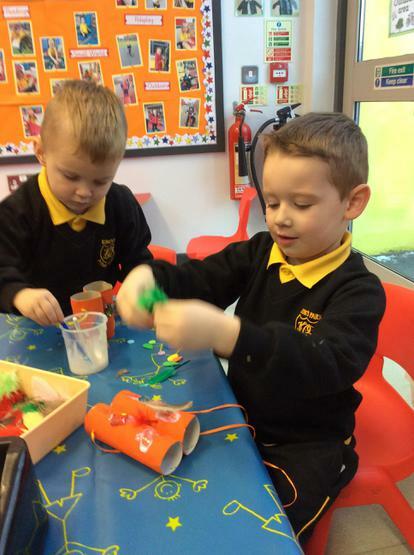 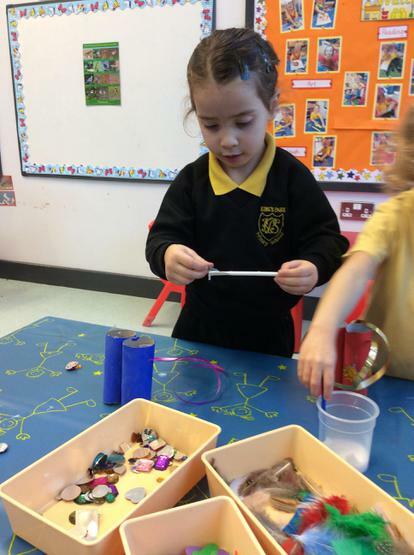 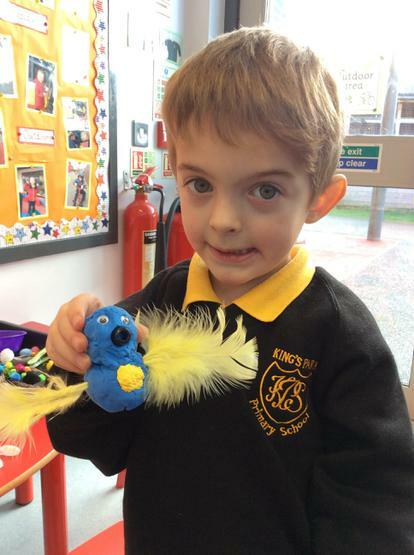 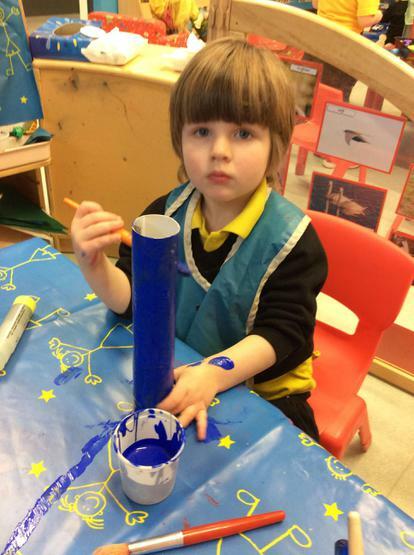 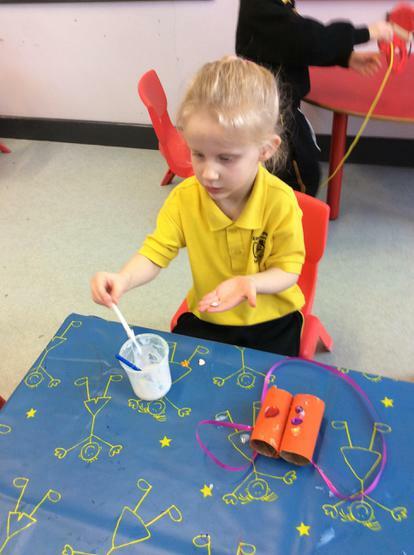 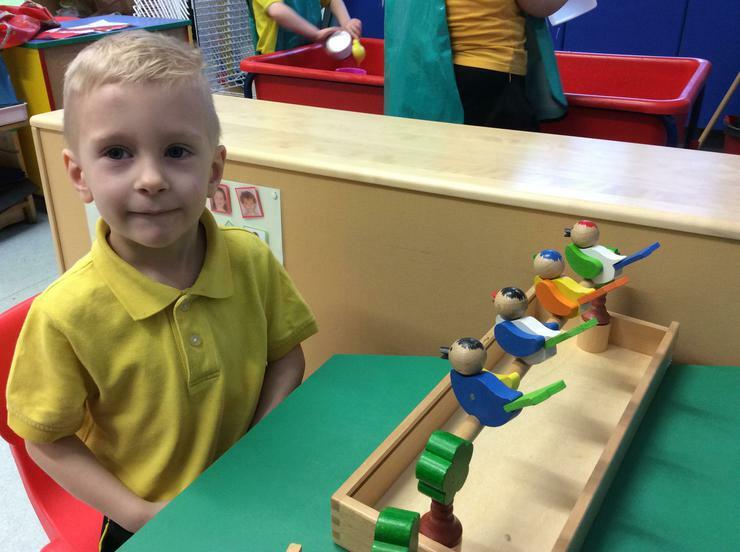 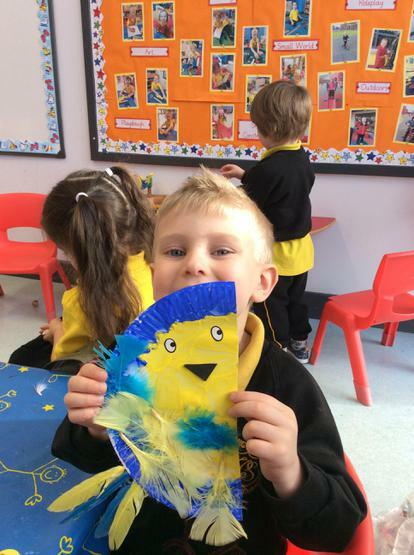 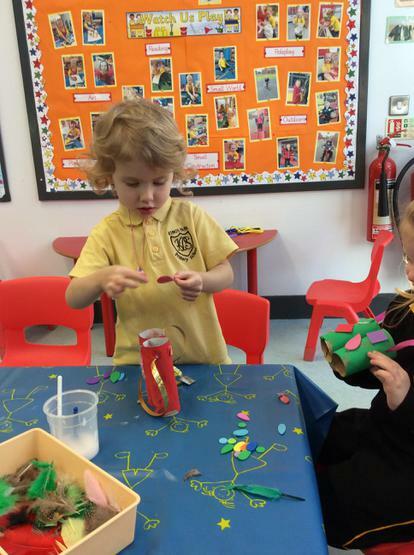 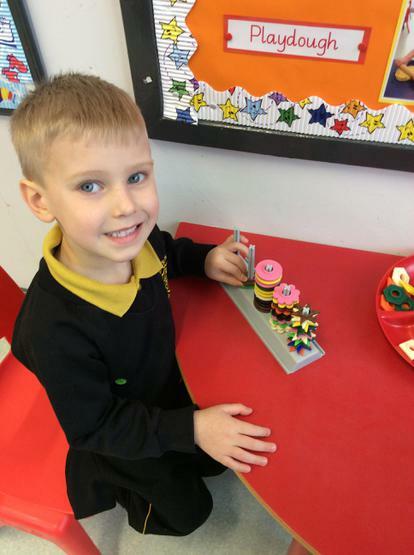 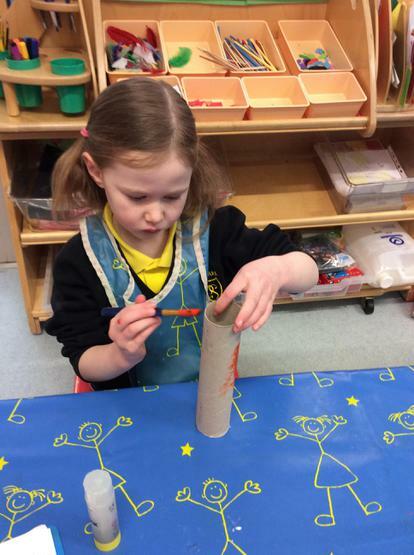 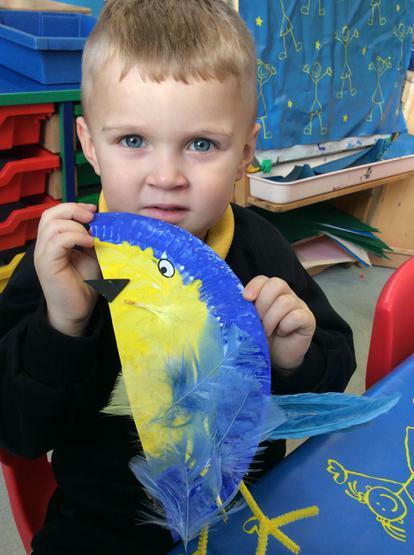 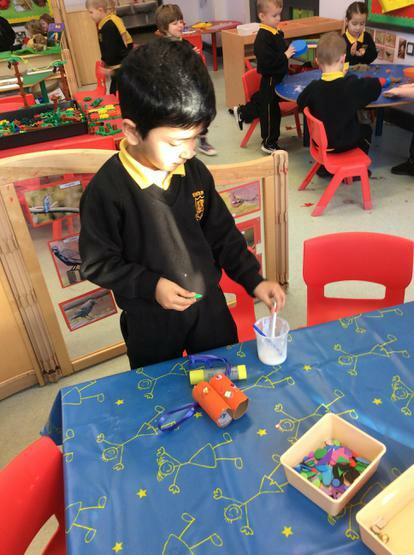 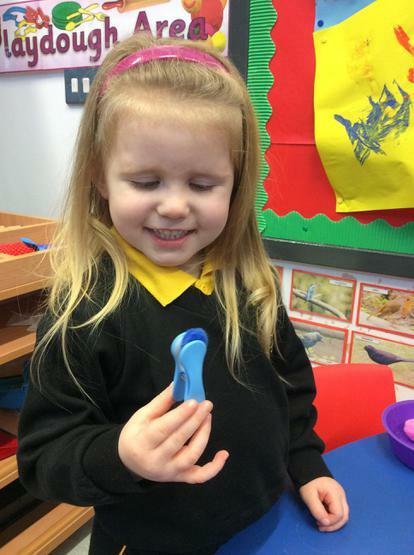 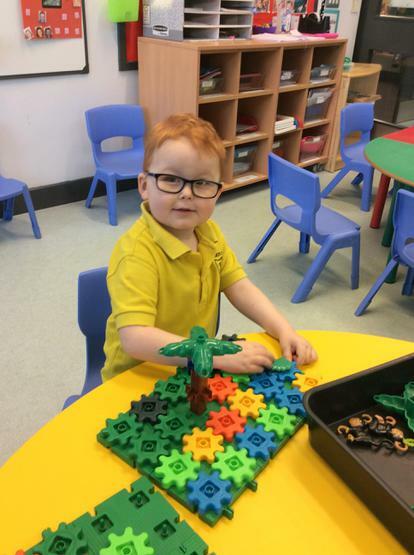 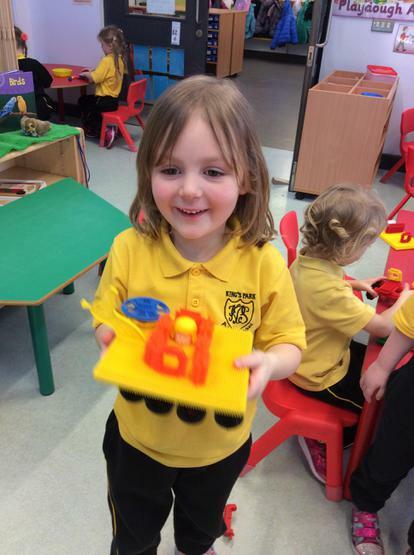 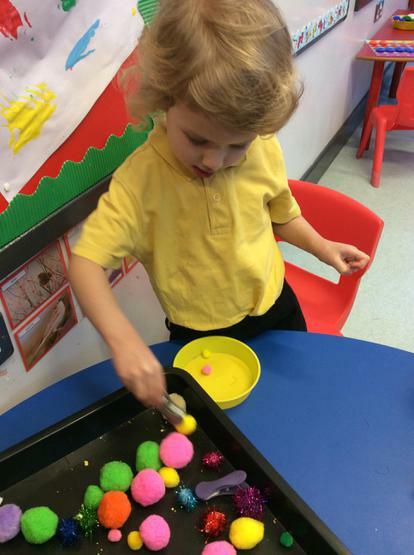 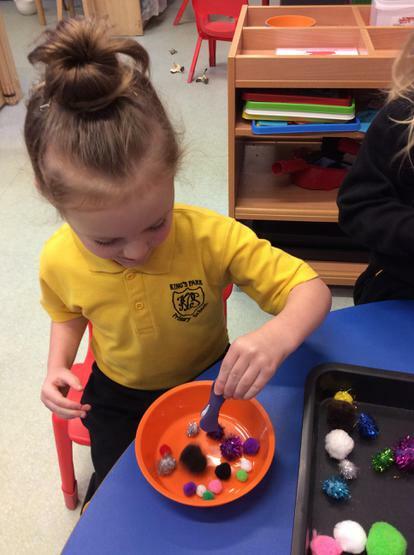 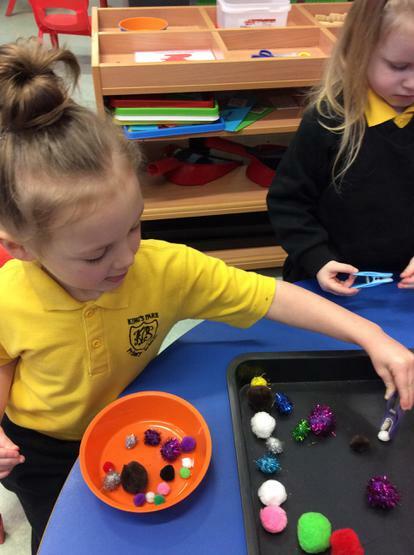 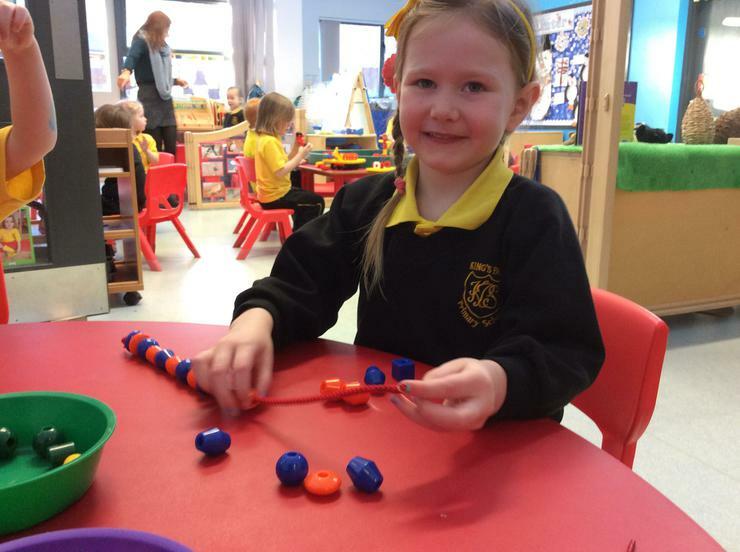 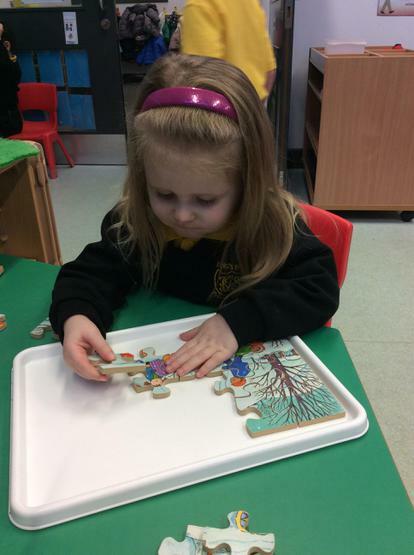 We are enjoying making birds using different materials! 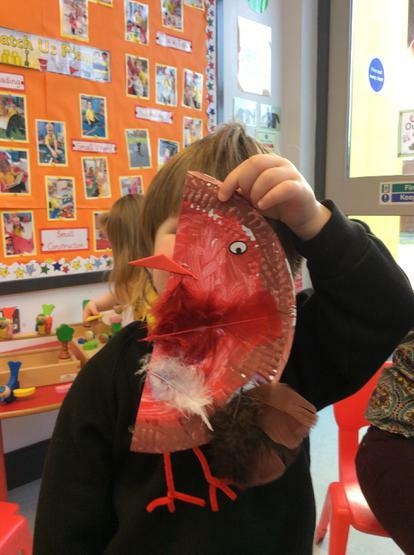 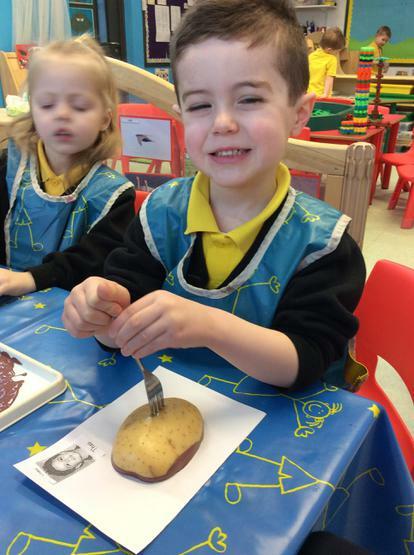 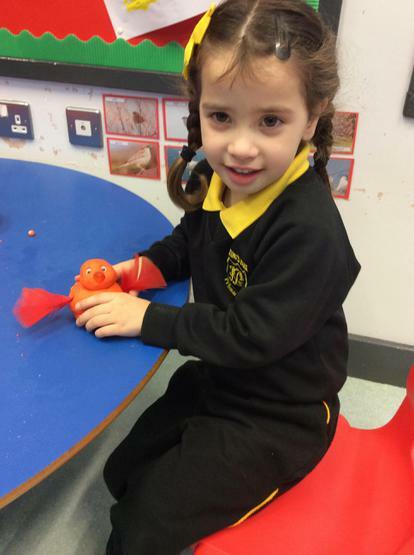 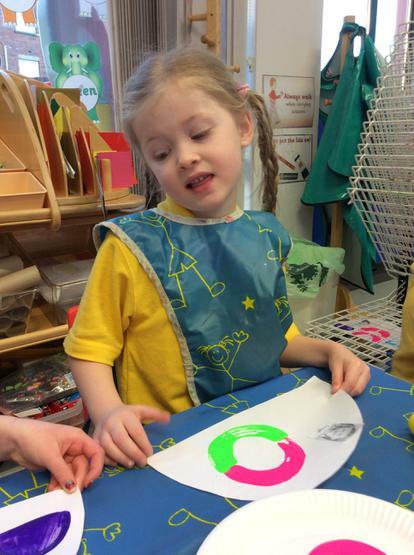 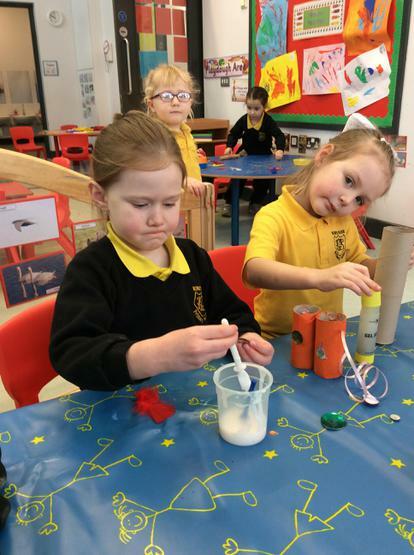 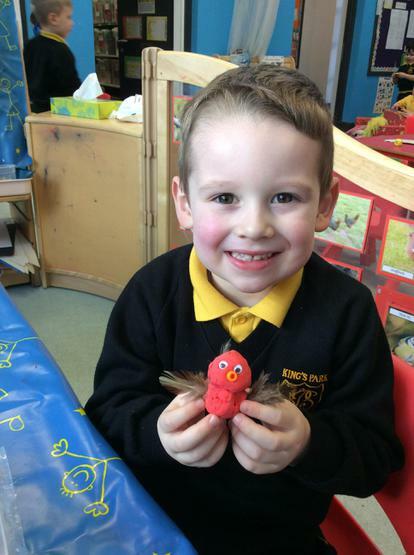 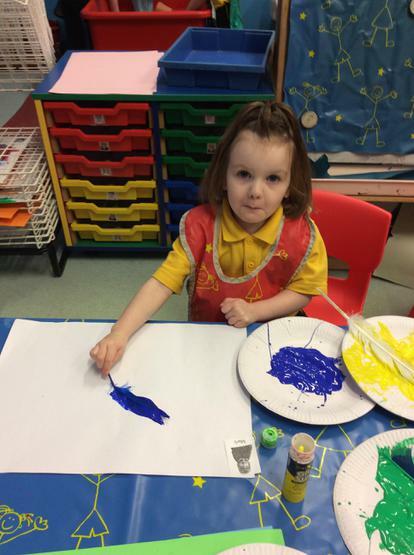 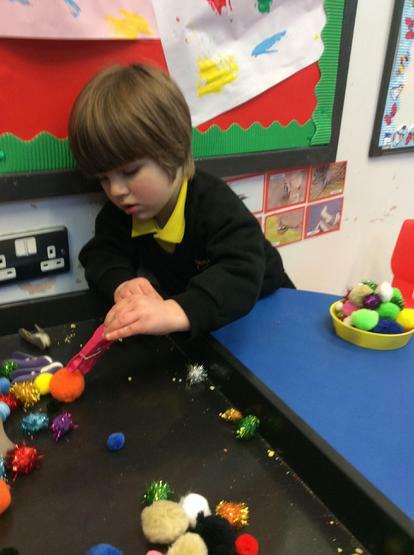 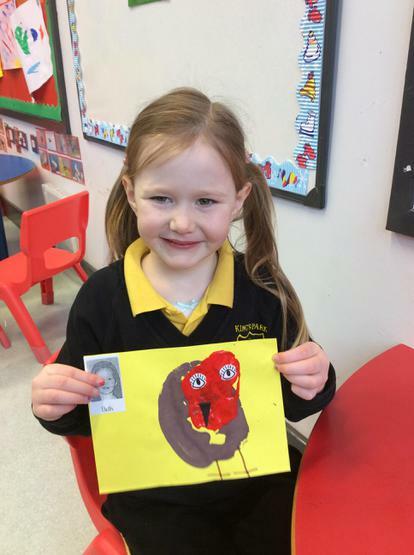 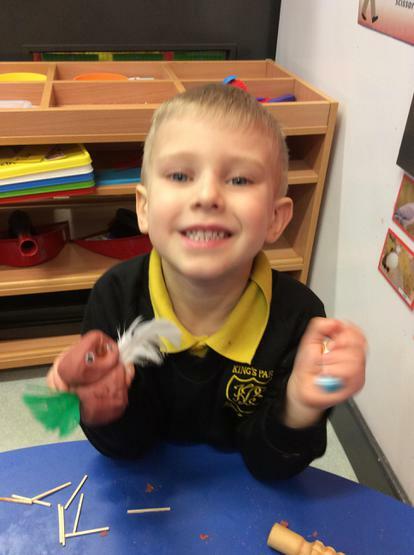 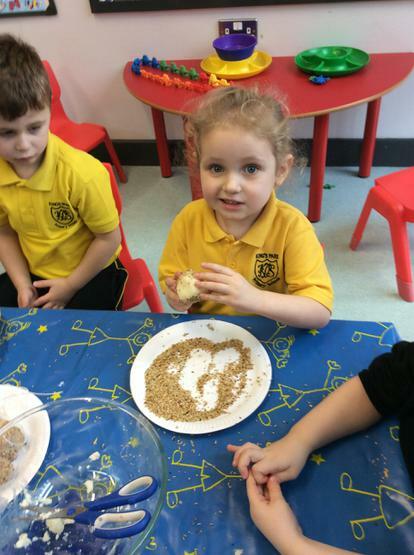 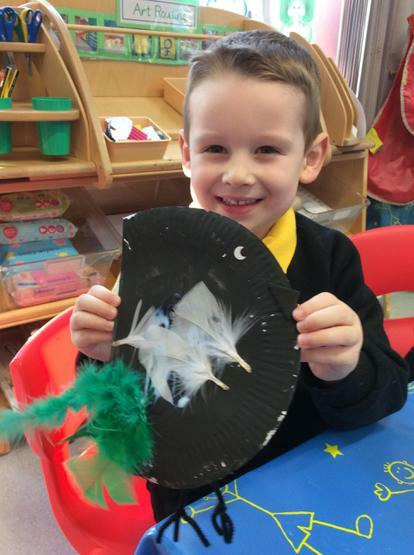 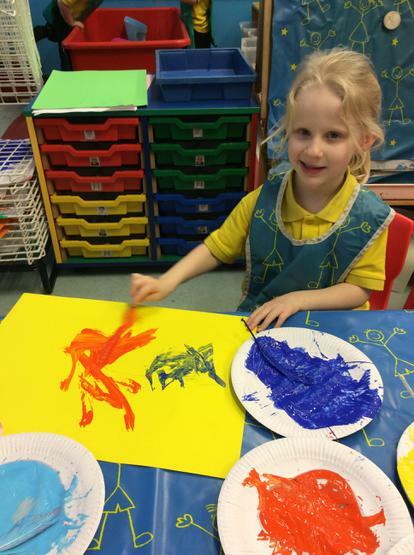 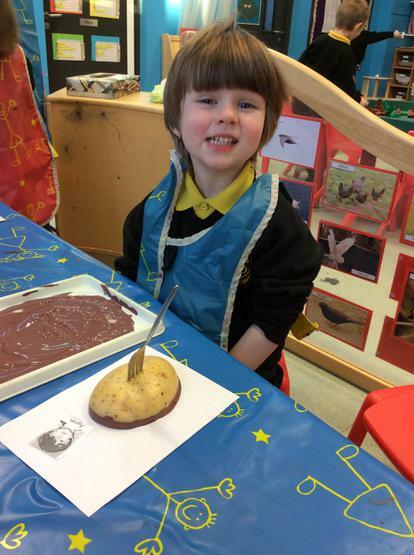 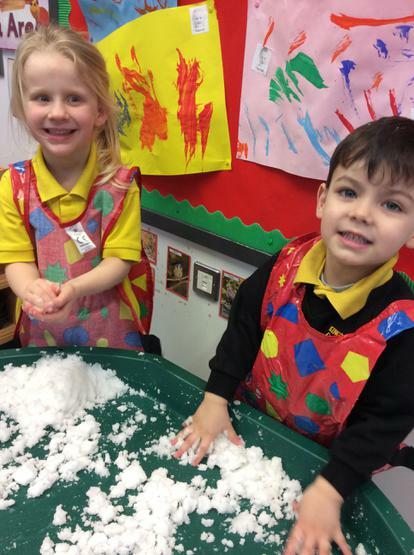 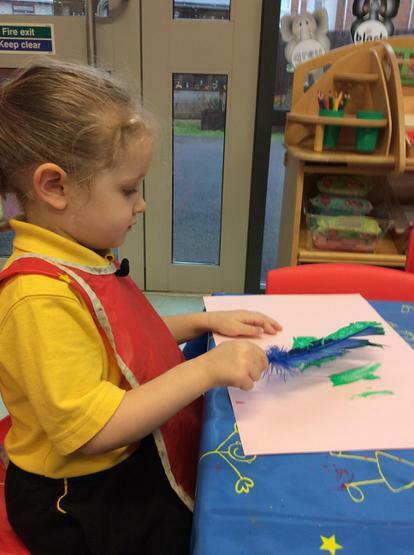 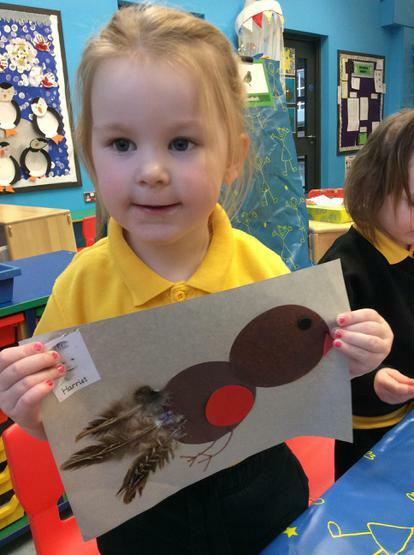 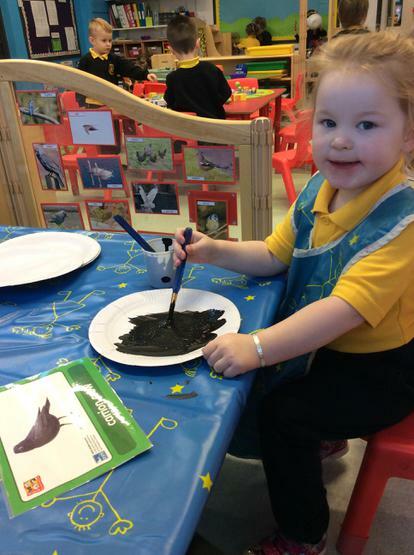 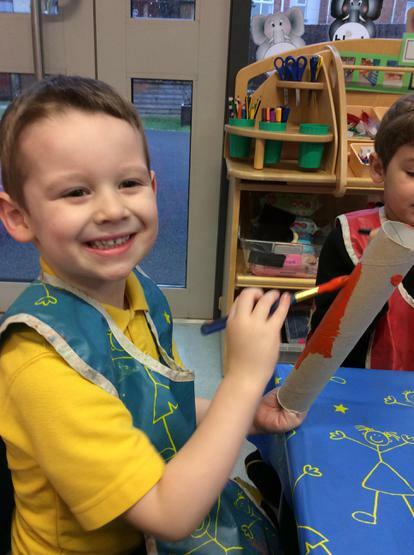 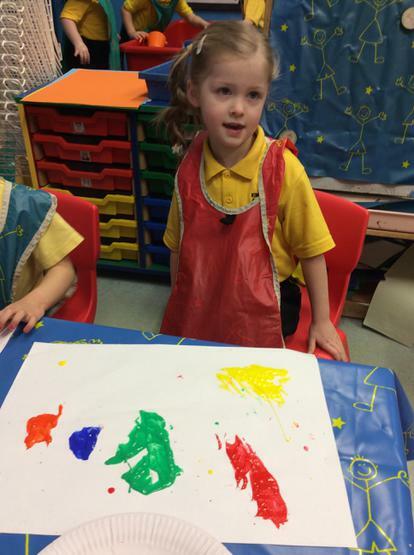 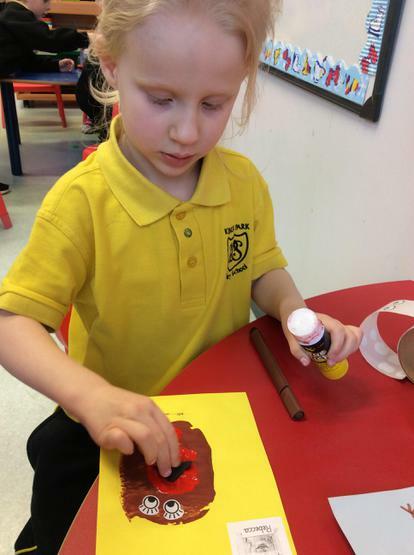 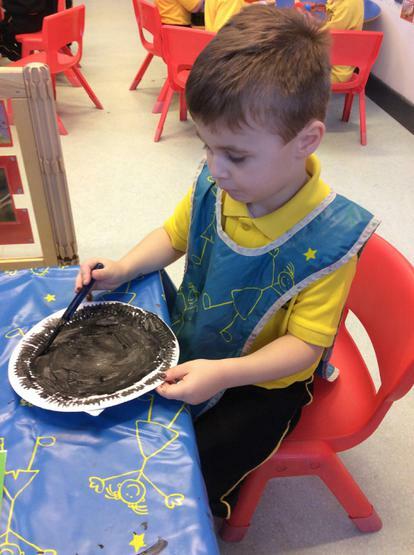 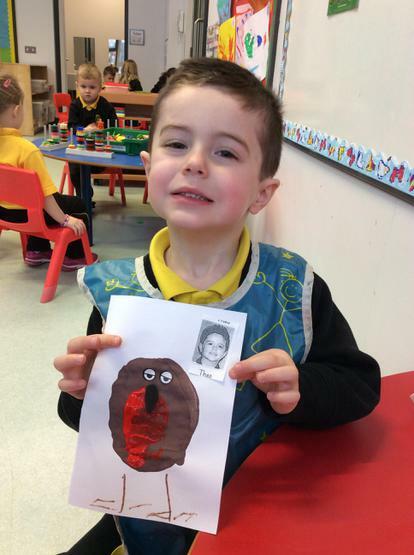 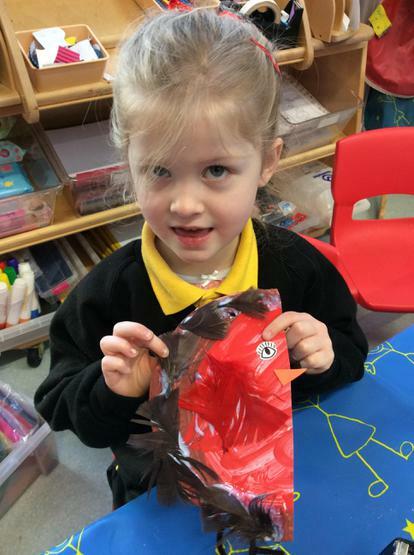 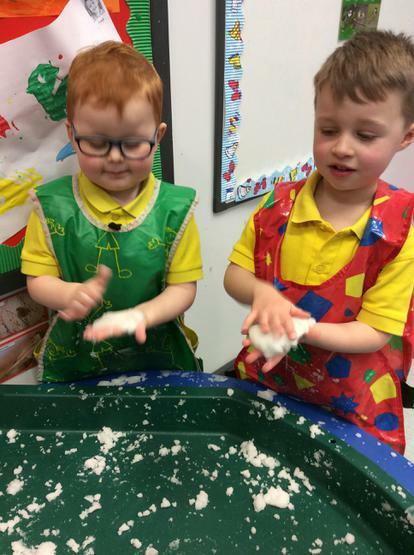 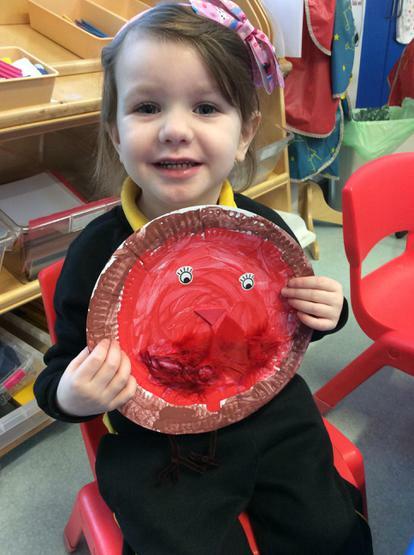 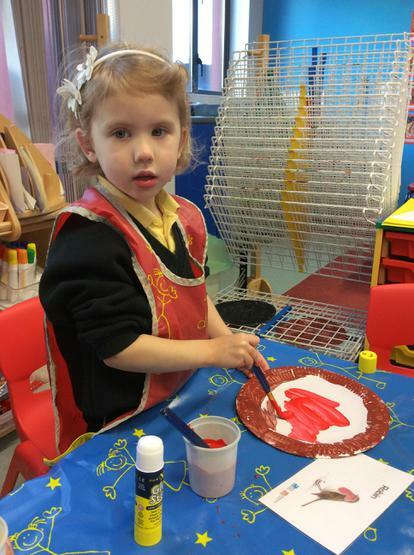 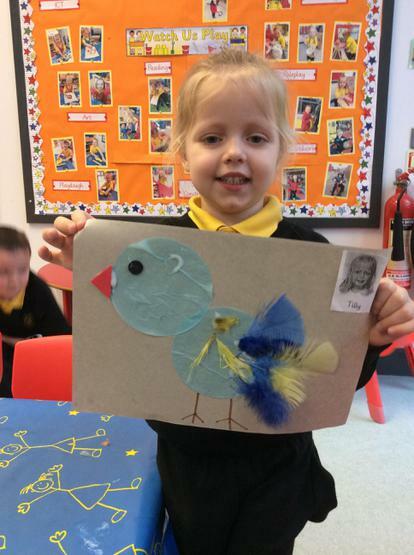 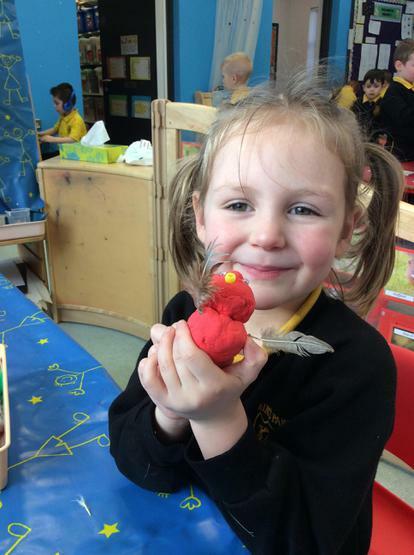 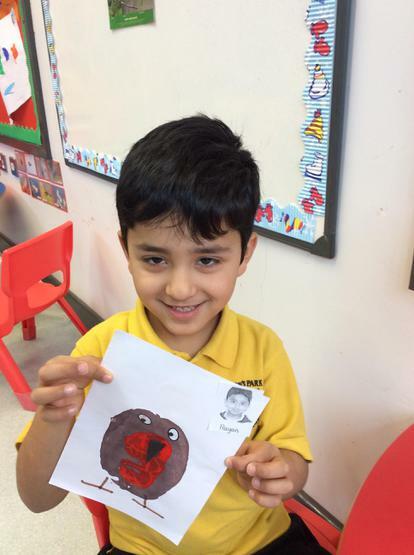 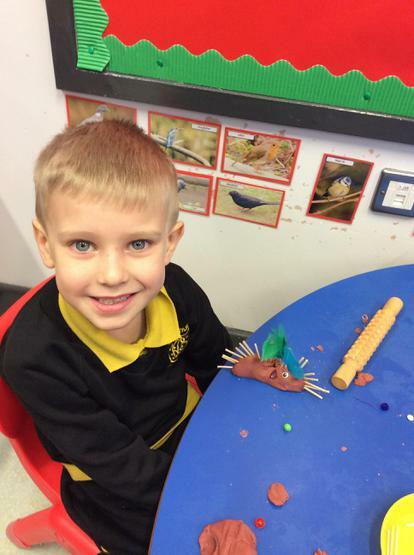 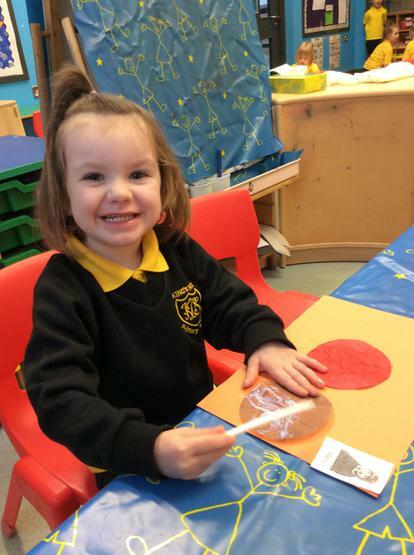 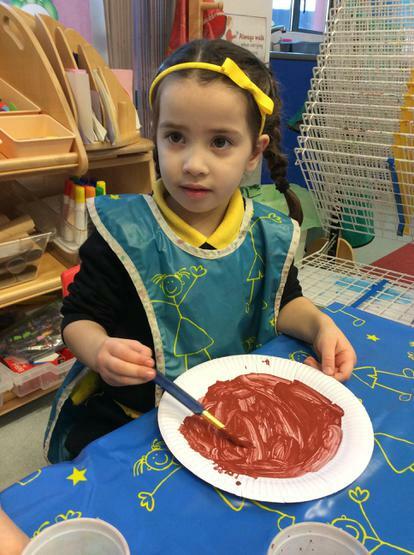 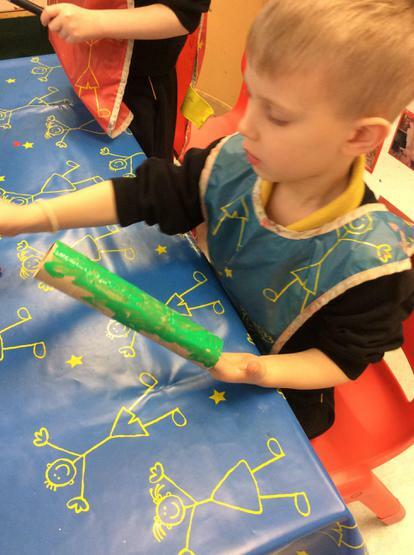 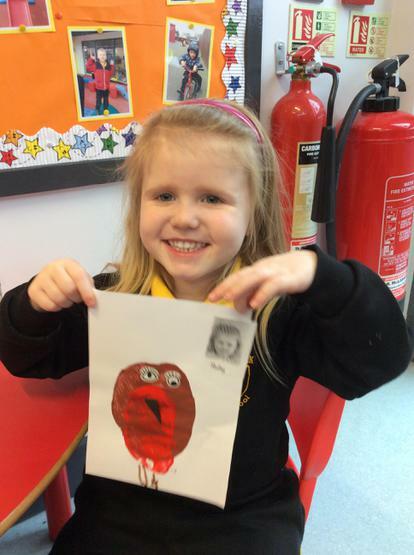 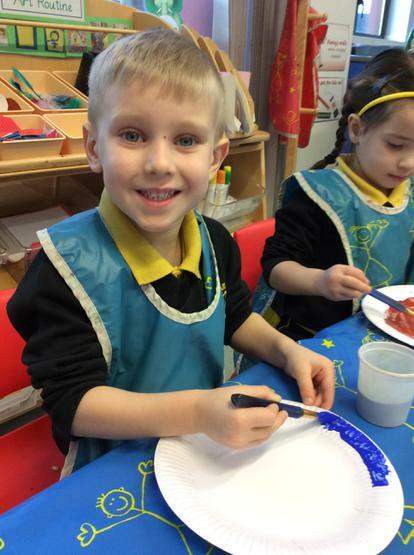 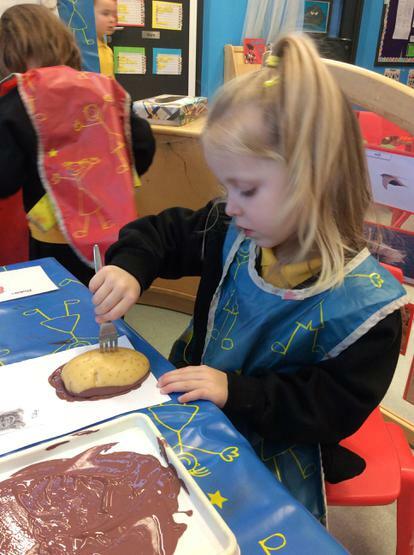 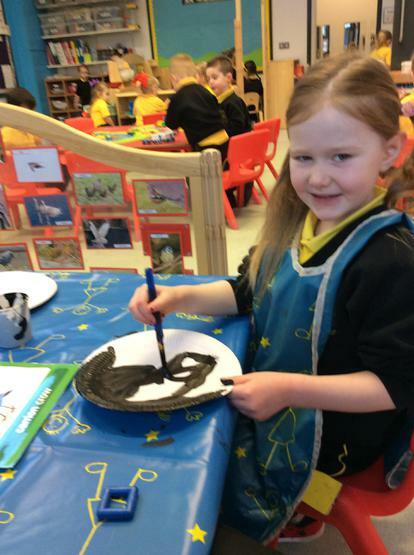 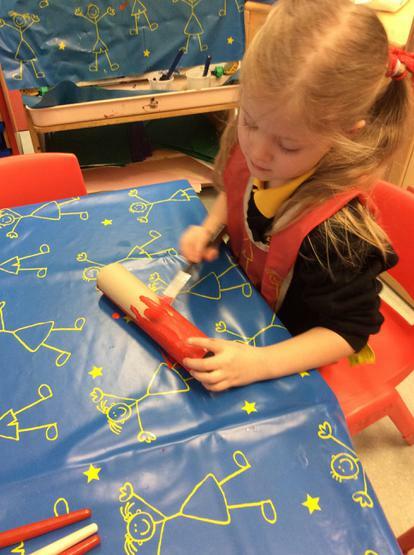 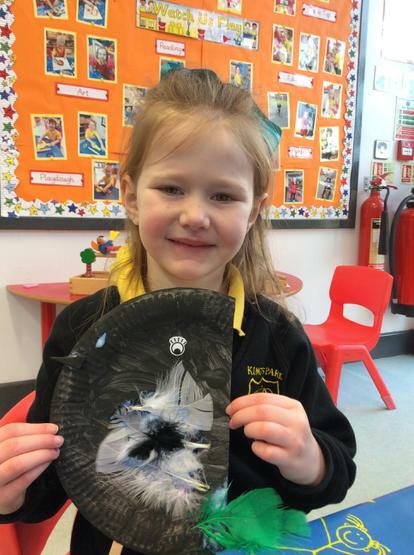 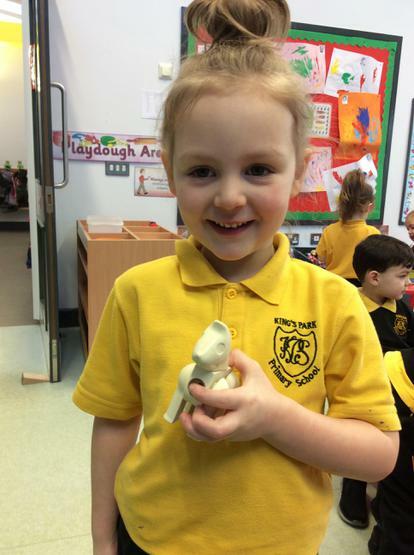 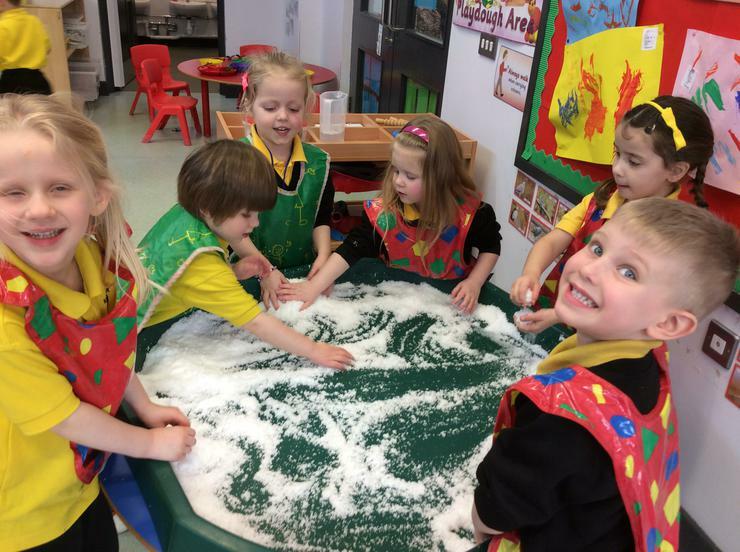 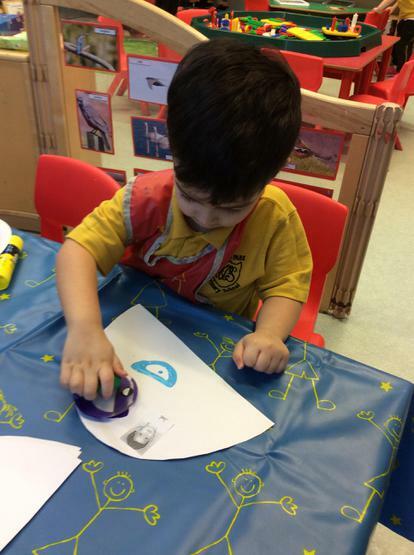 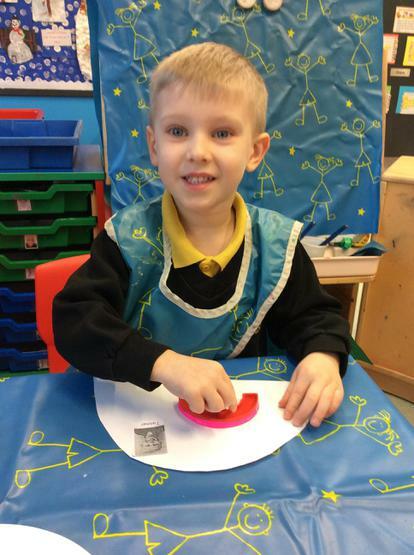 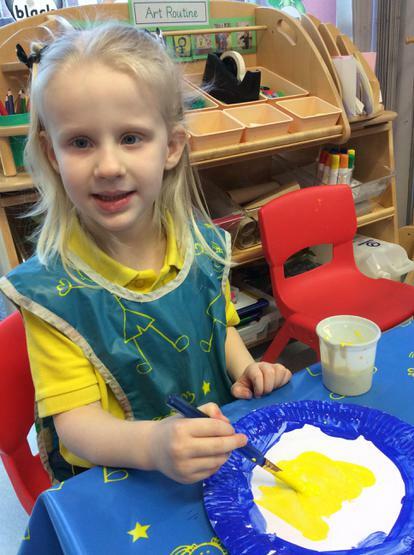 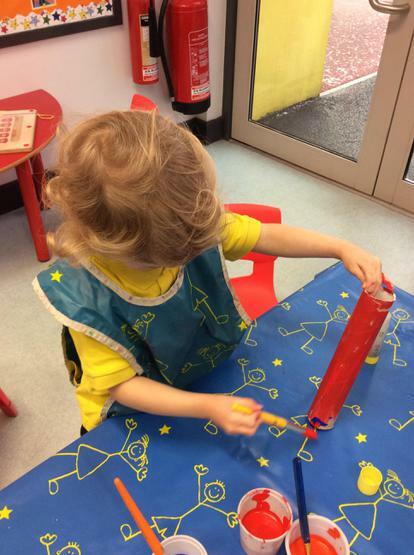 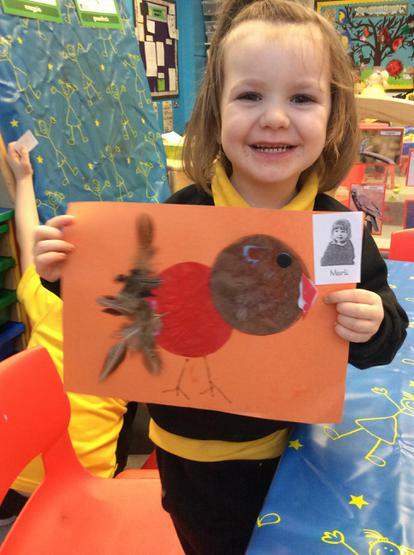 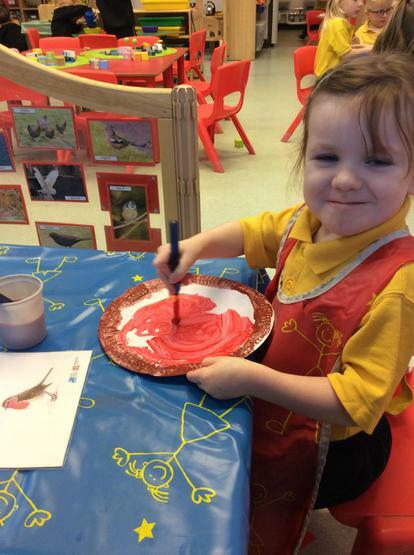 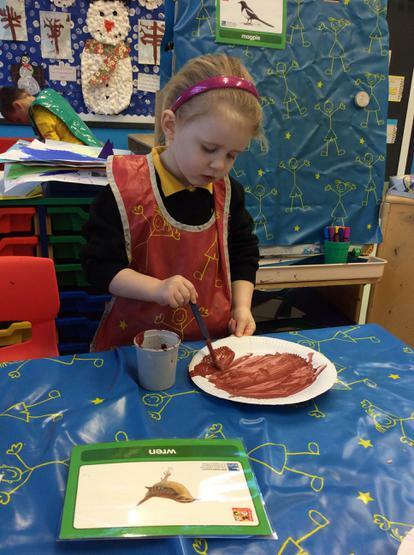 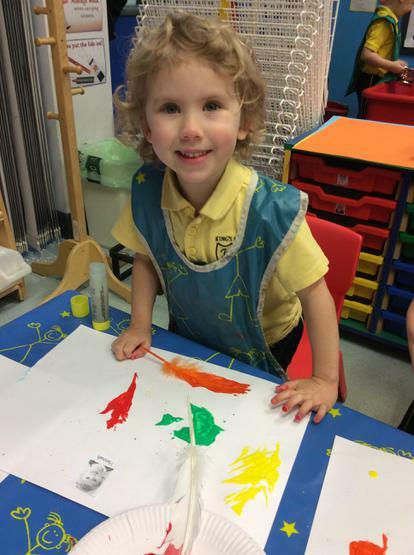 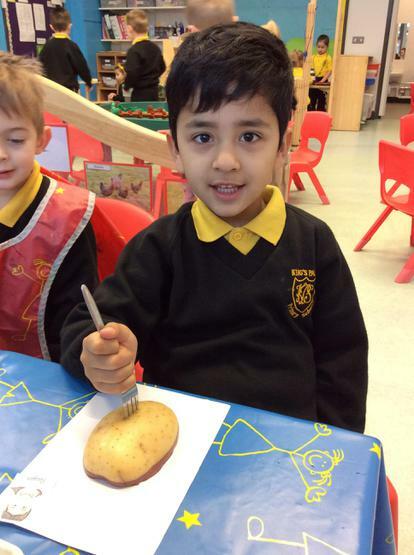 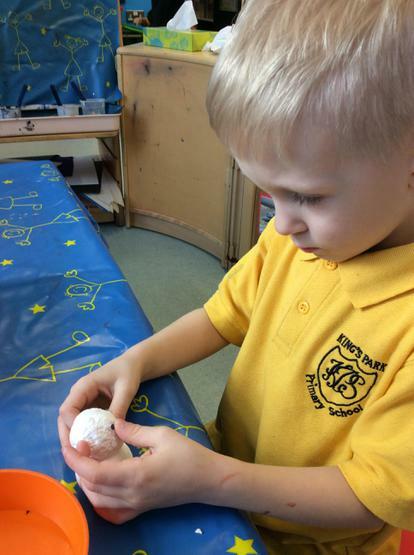 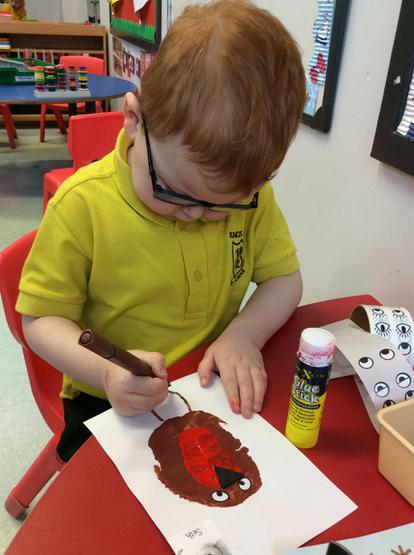 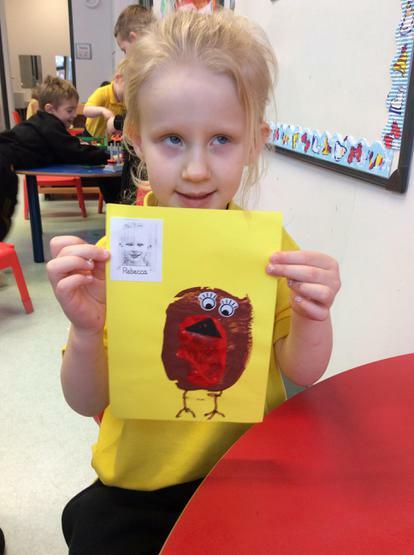 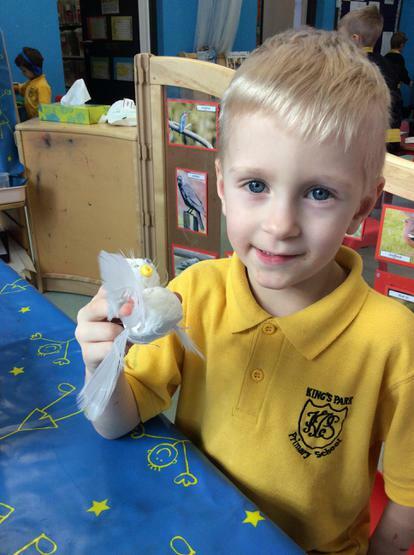 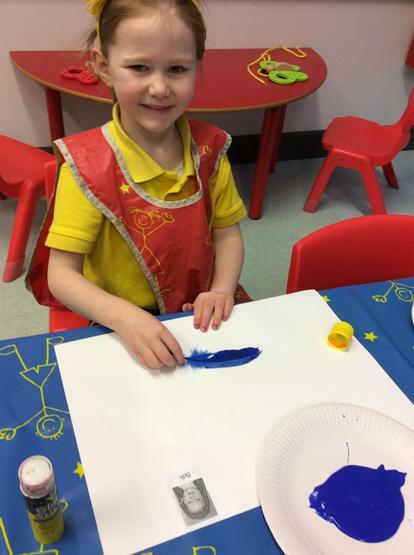 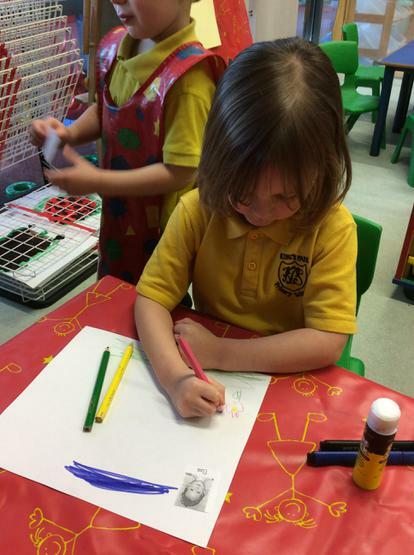 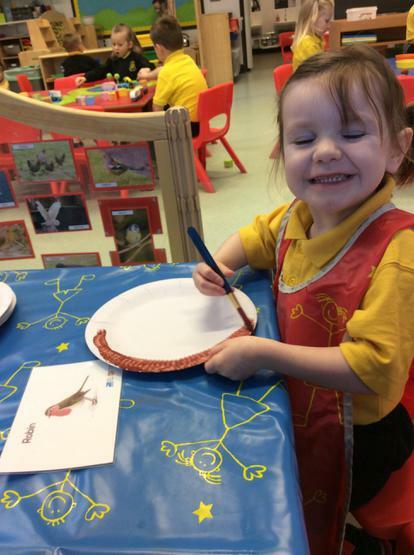 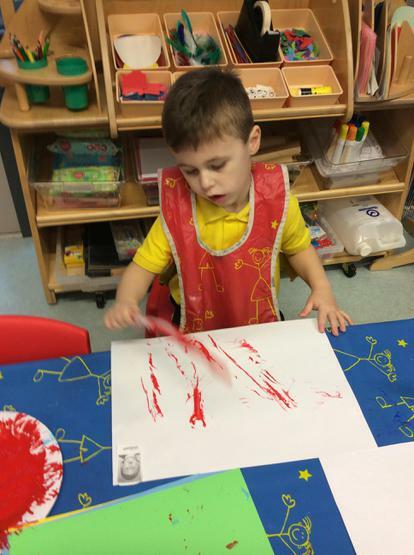 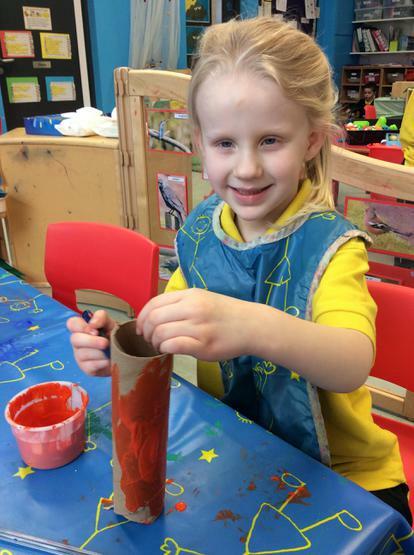 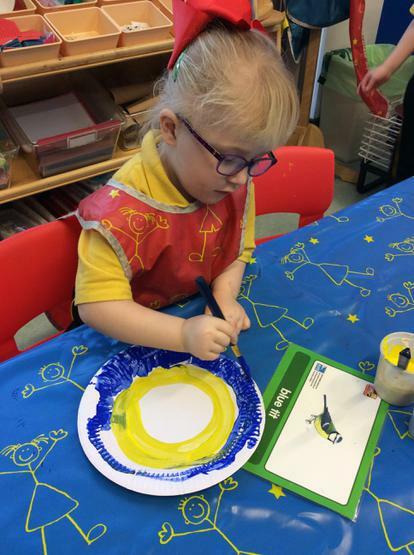 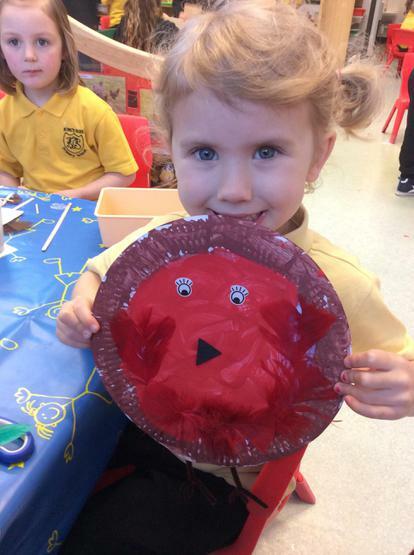 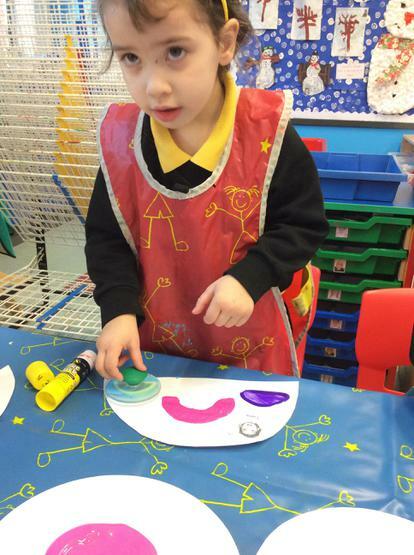 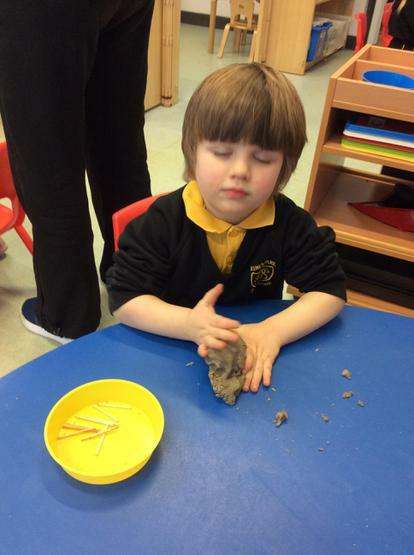 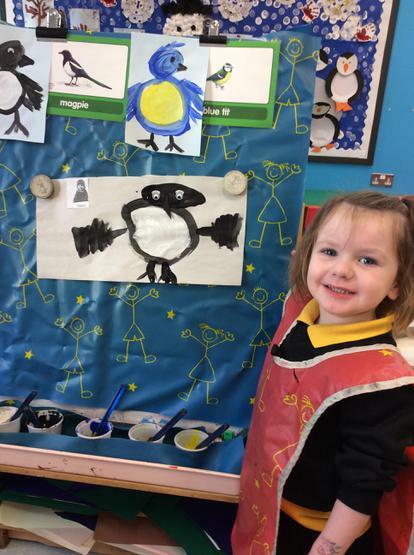 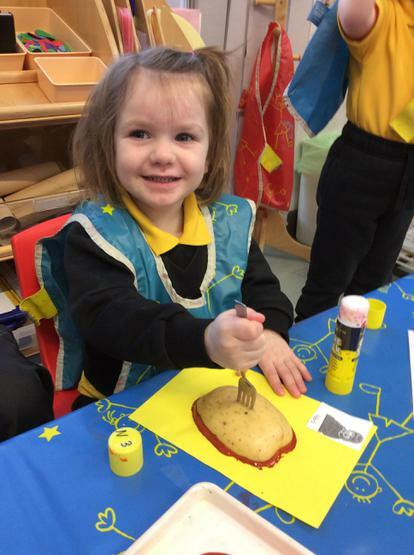 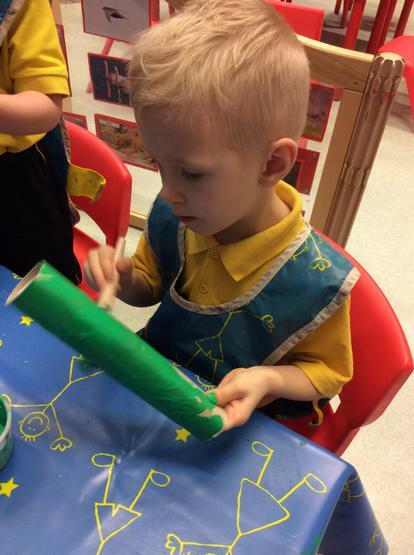 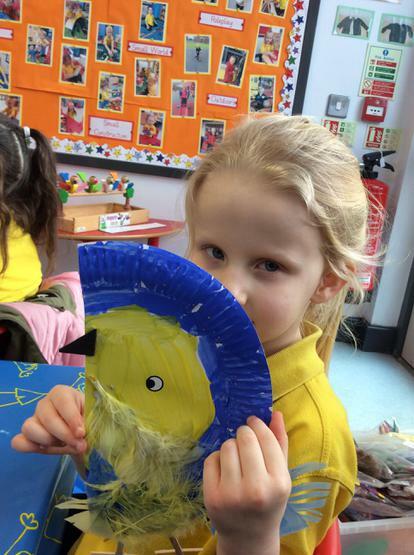 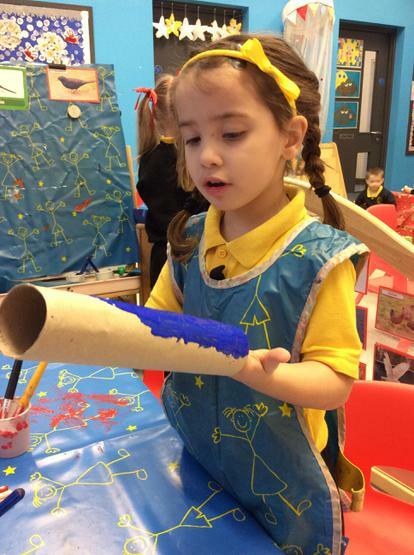 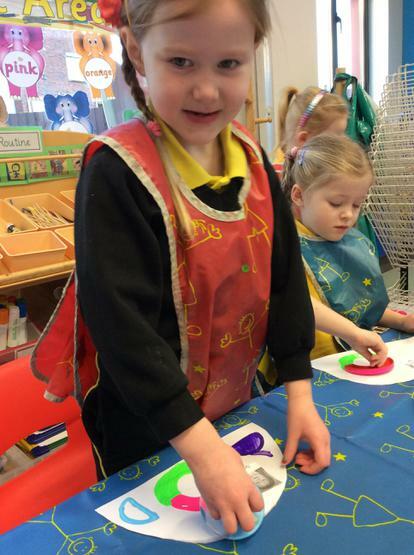 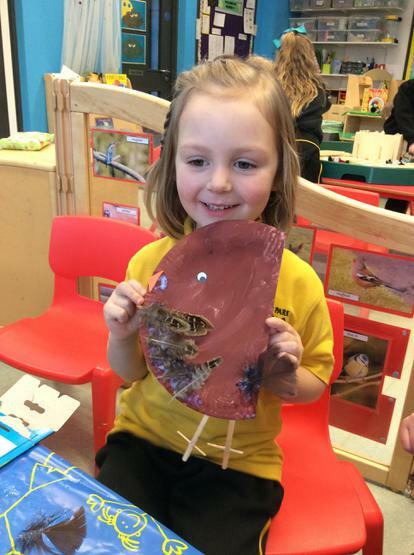 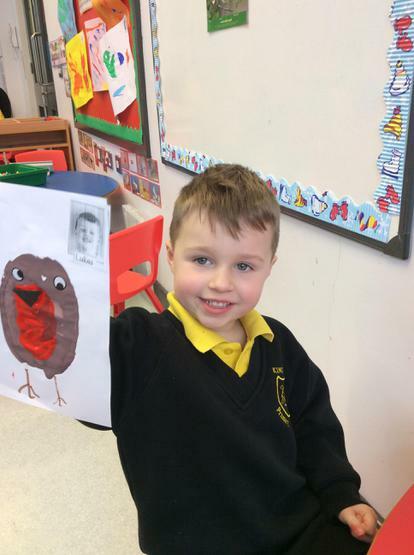 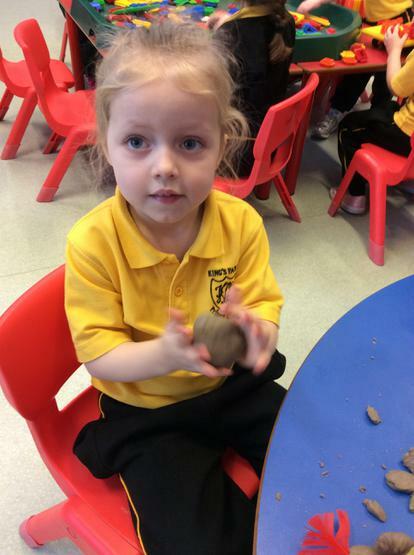 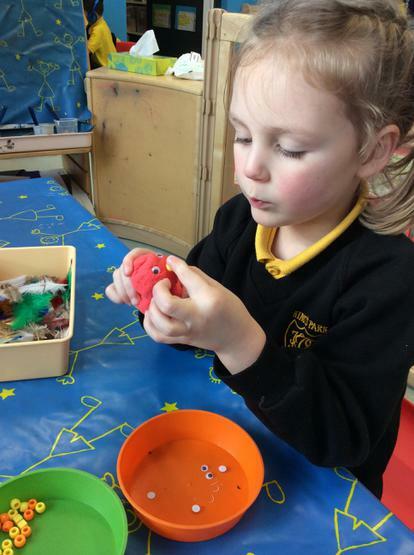 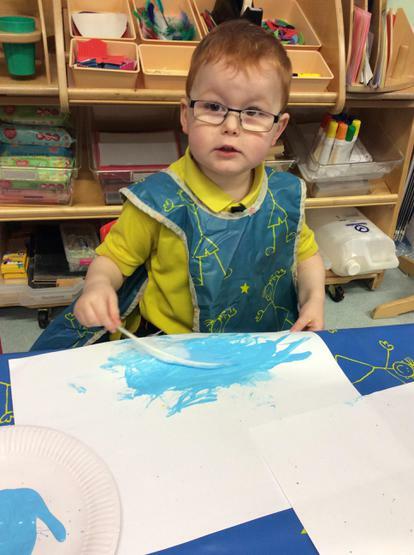 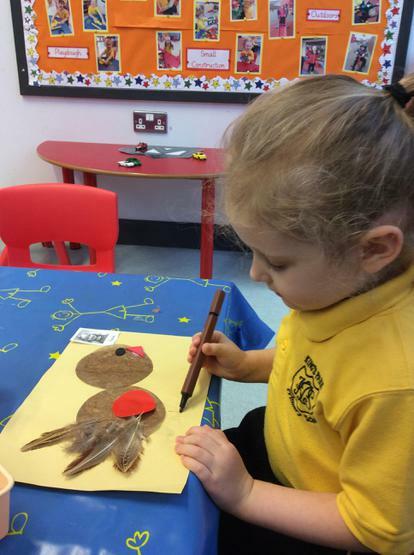 We have been learning about birds through our play - painting them, making playdough birds, making 3D birds, and also using potatoes to make beautiful print robins! 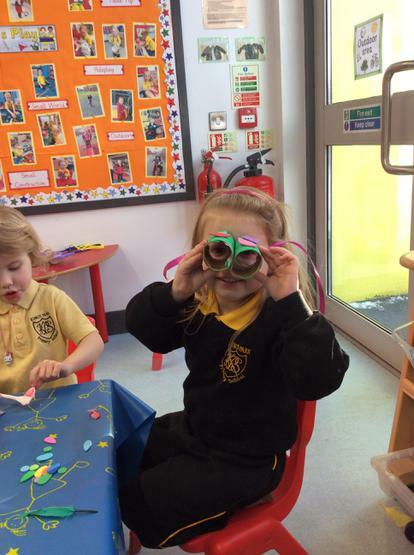 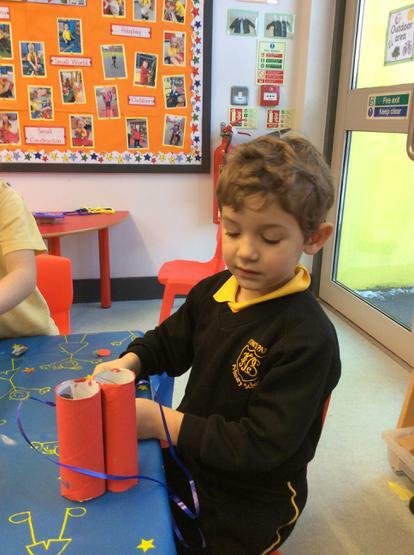 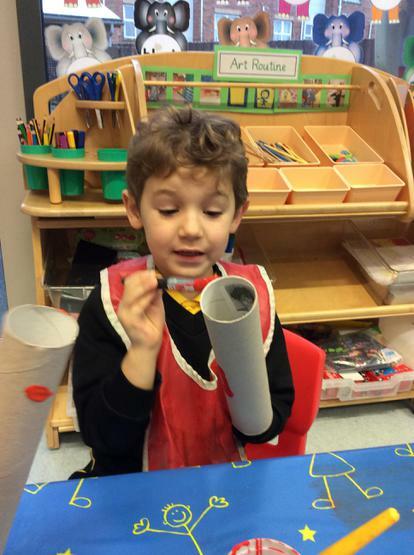 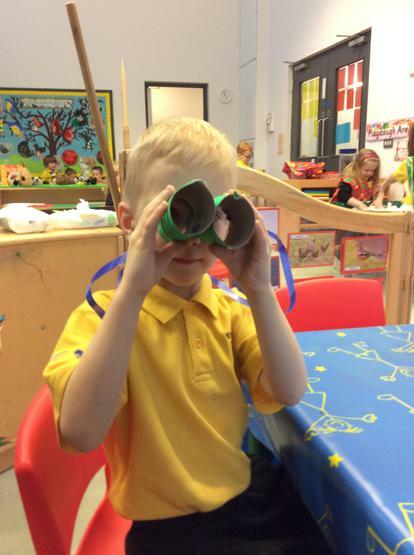 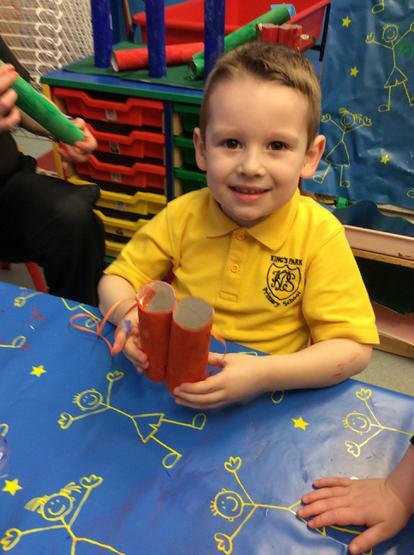 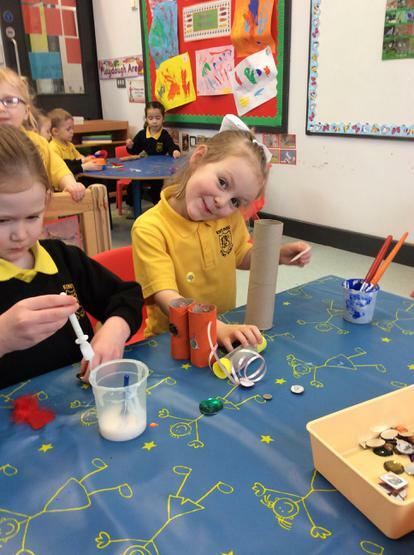 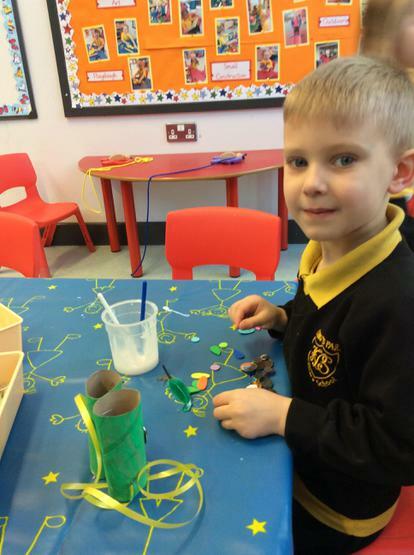 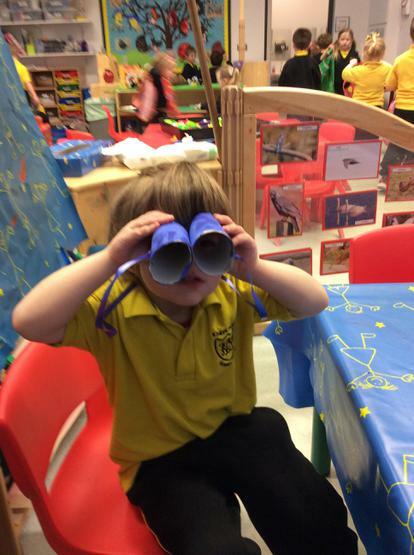 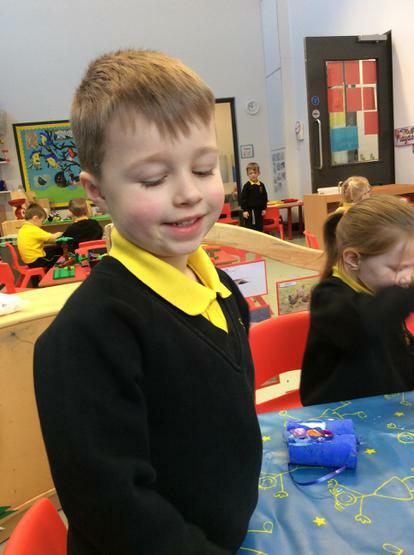 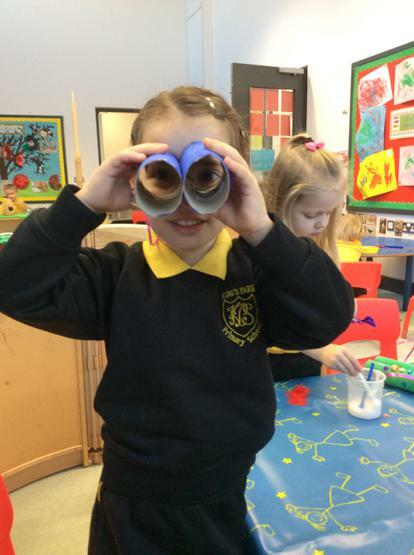 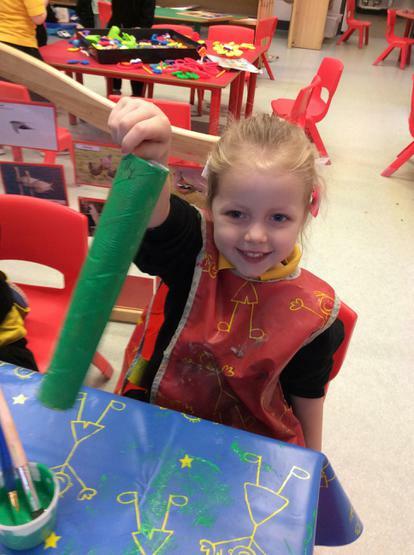 We have been busy making our own binoculars! 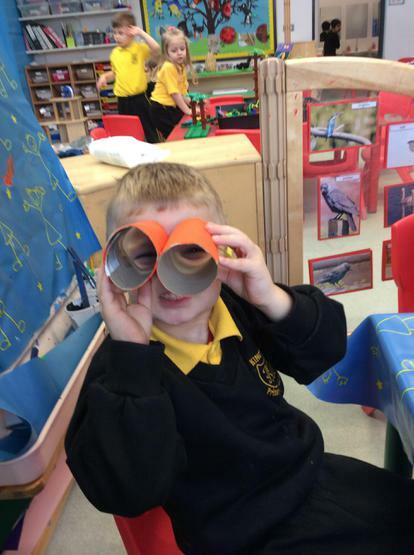 We are really looking forward to using them to go birdwatching! 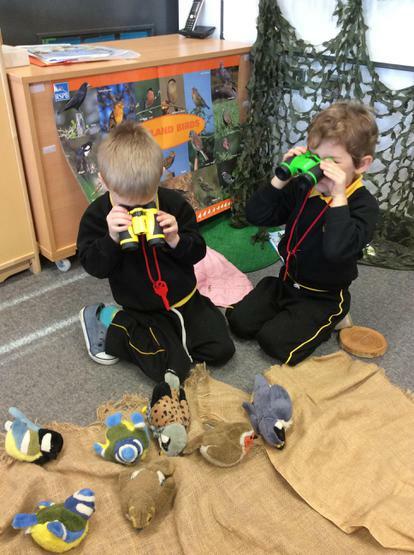 I wonder what type of birds we will see? 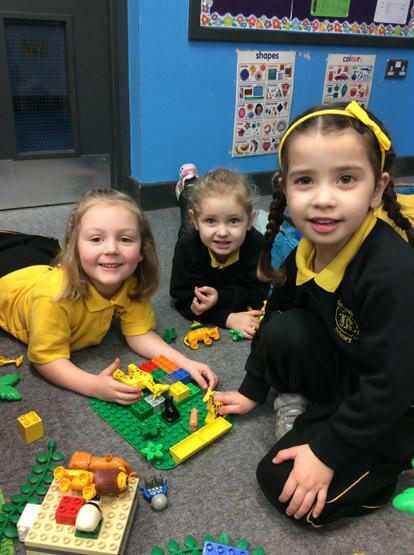 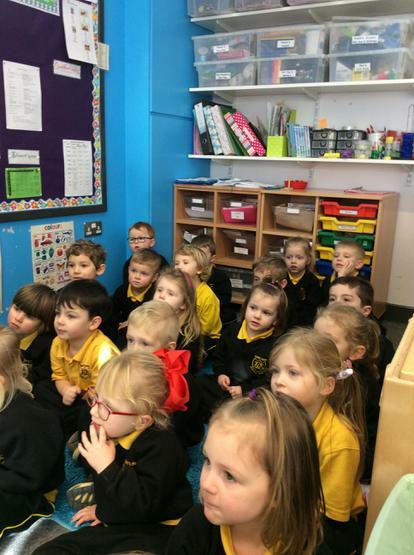 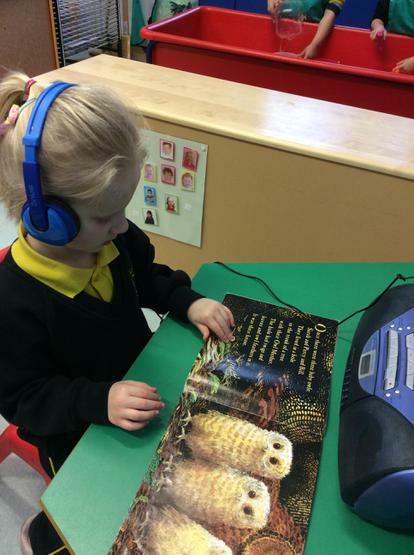 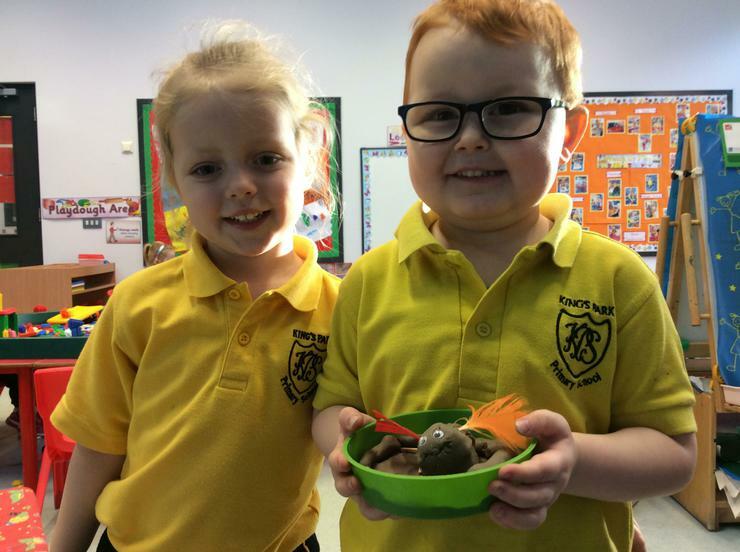 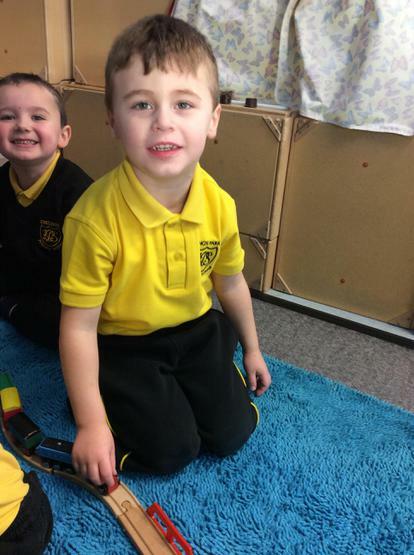 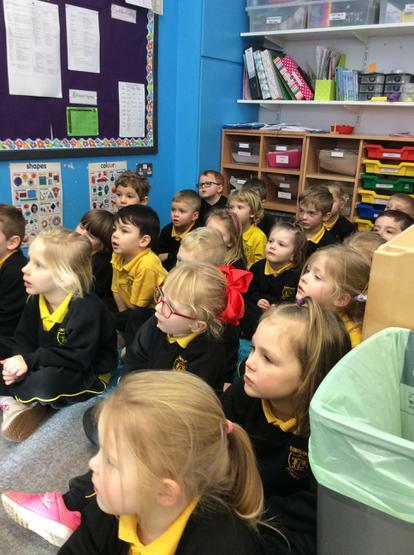 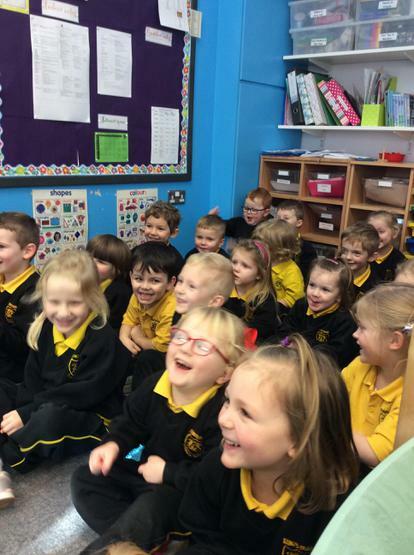 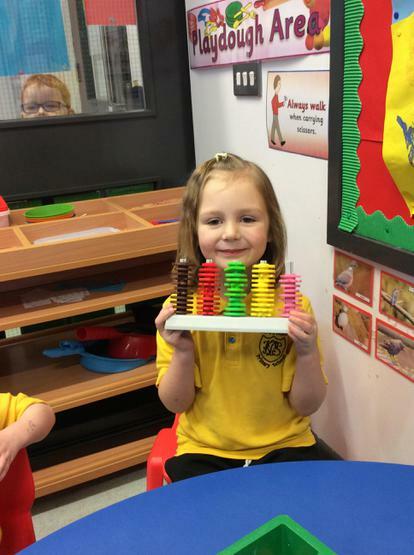 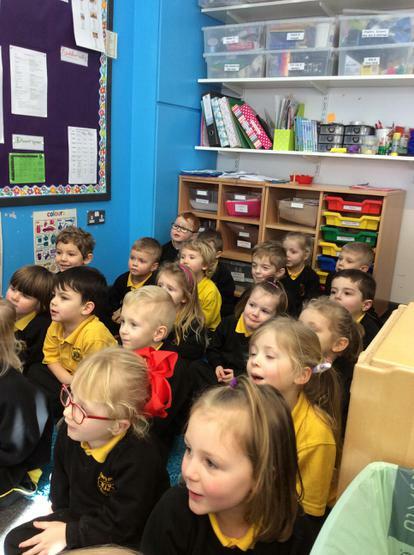 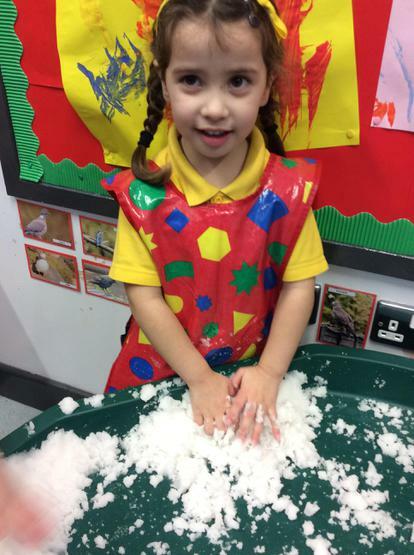 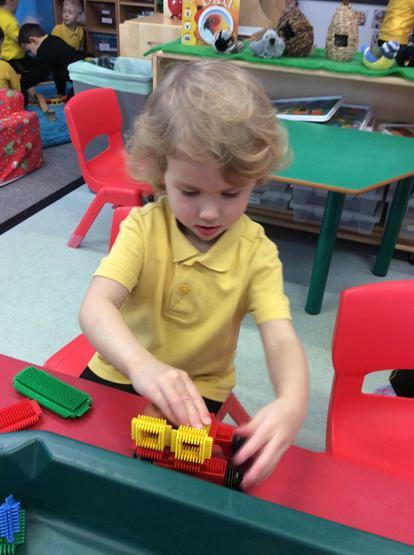 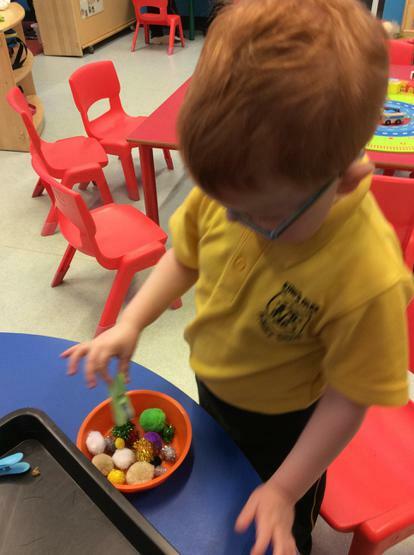 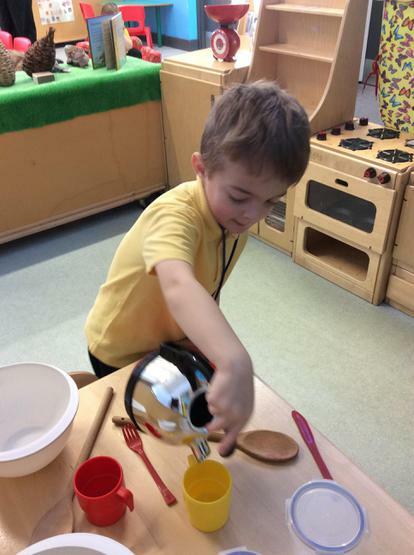 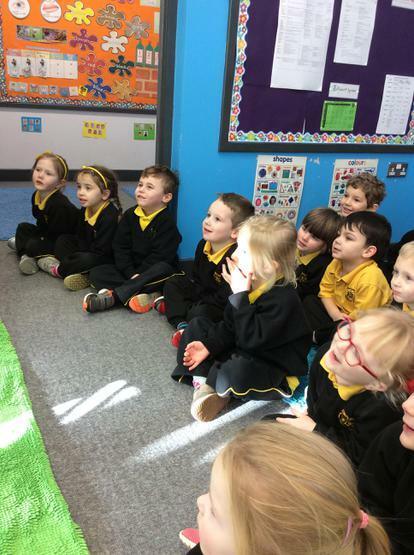 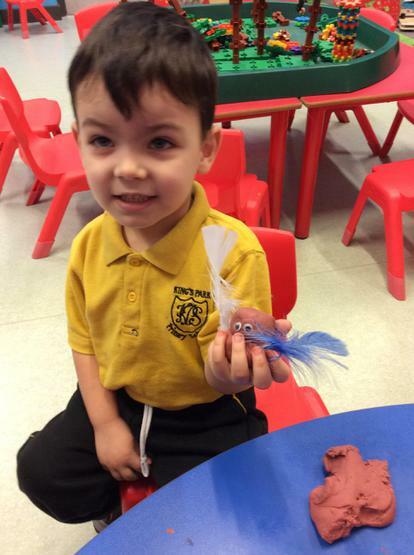 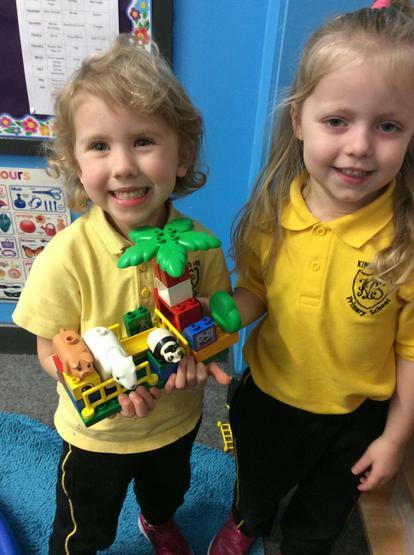 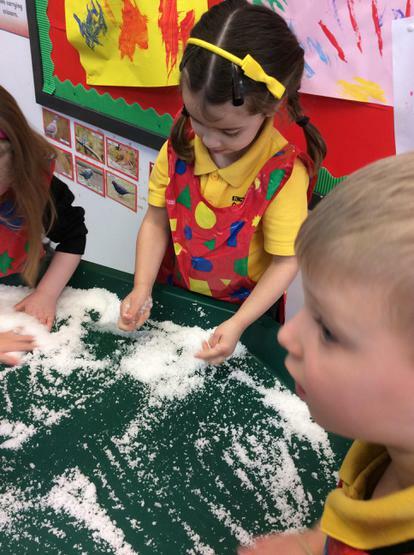 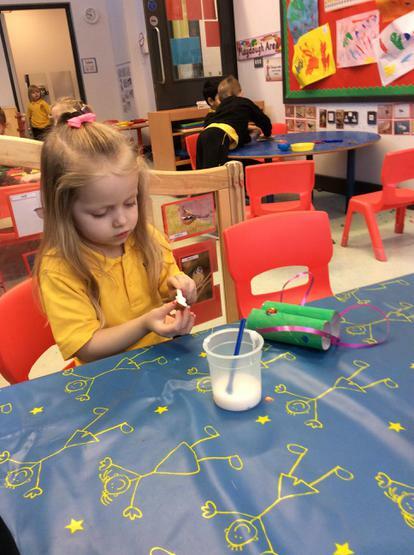 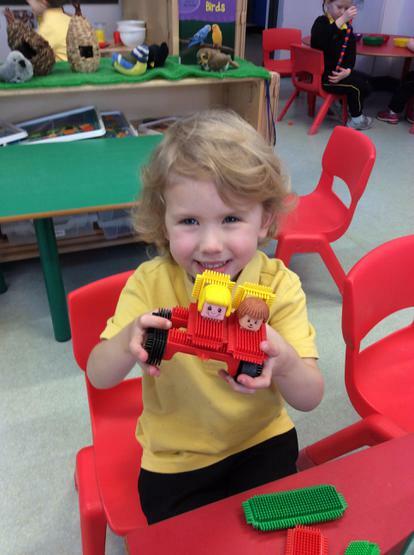 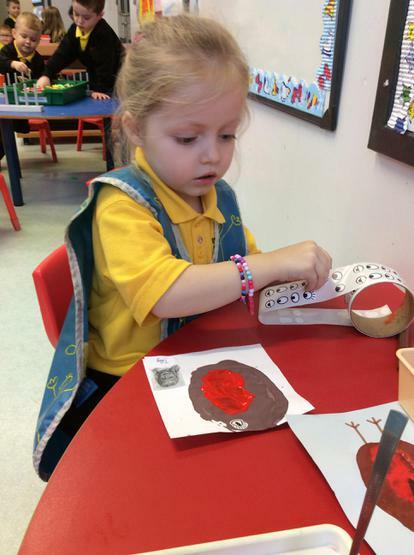 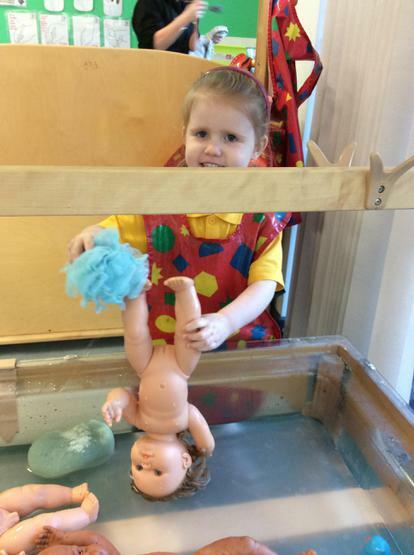 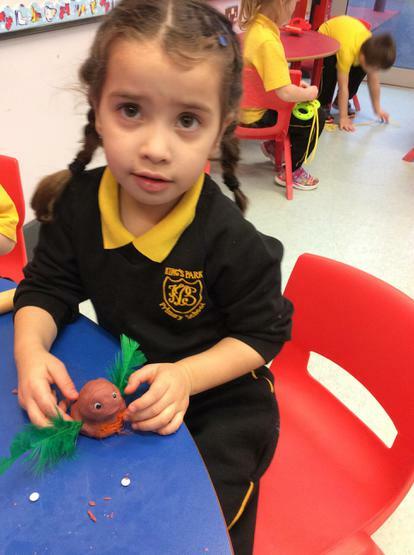 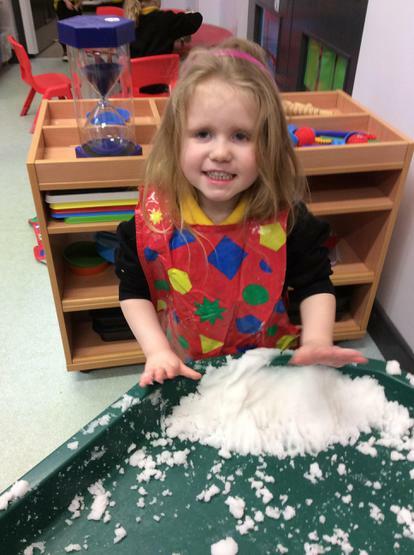 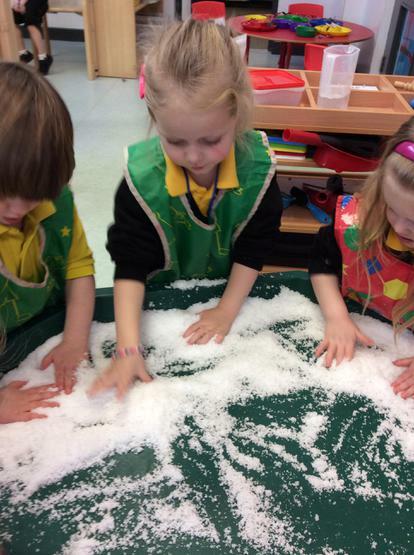 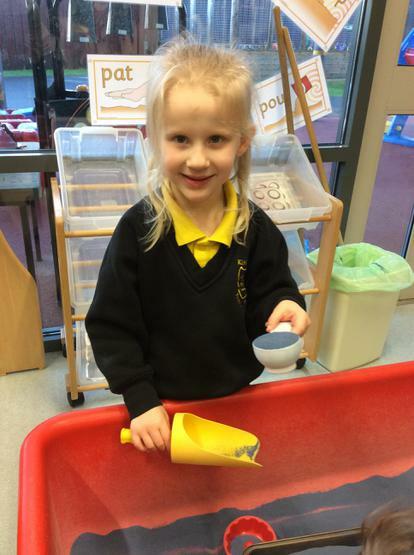 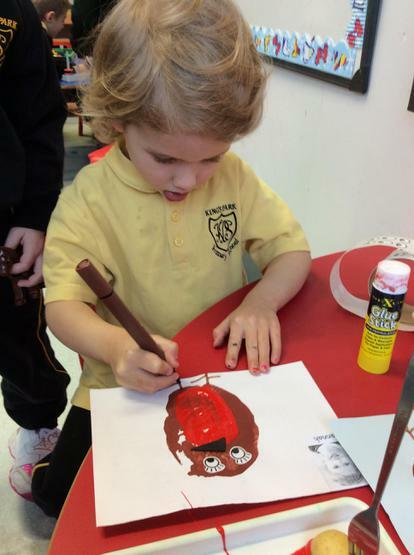 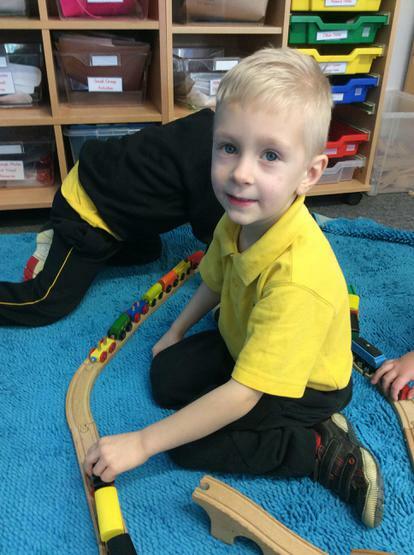 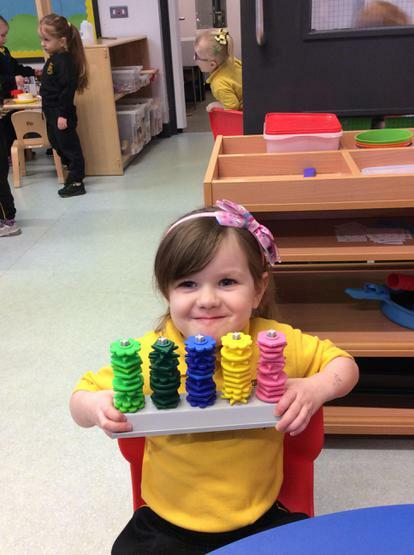 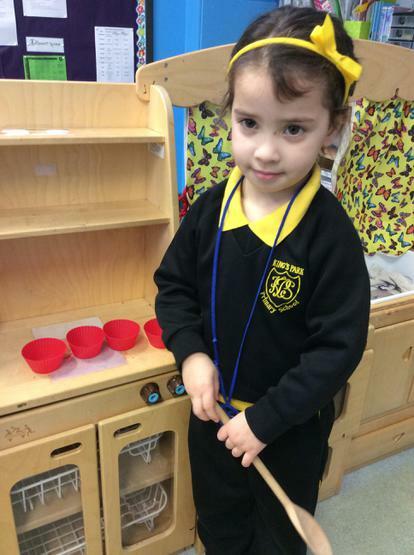 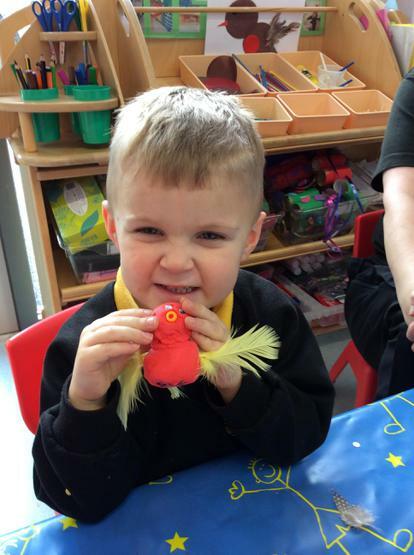 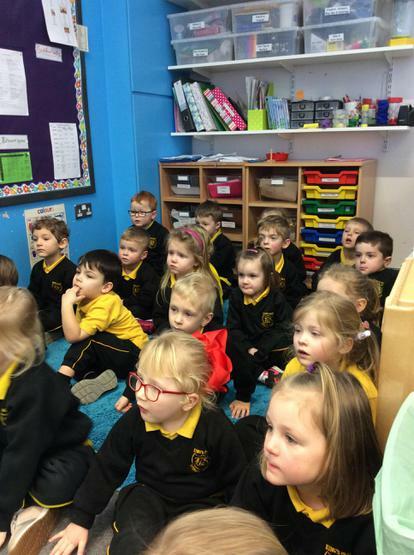 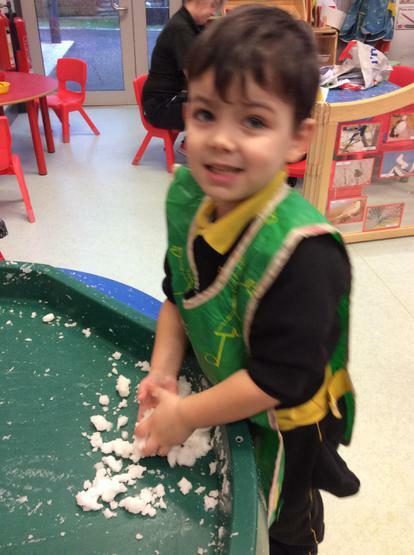 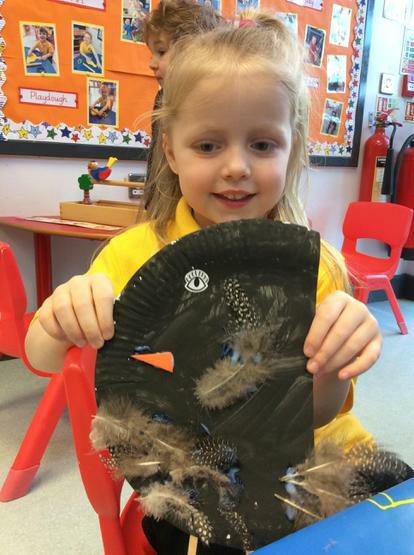 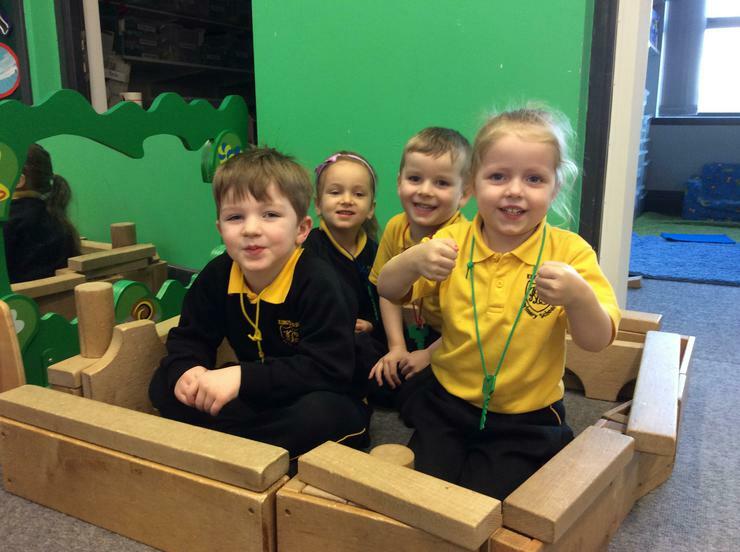 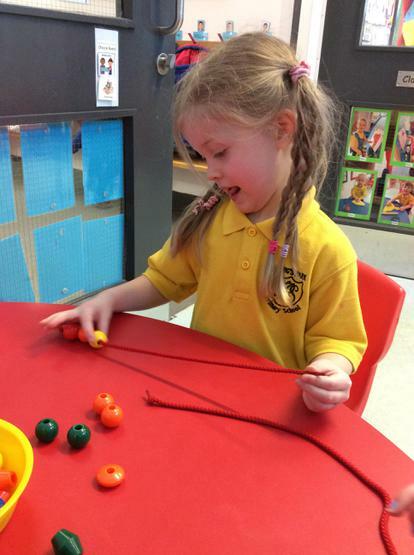 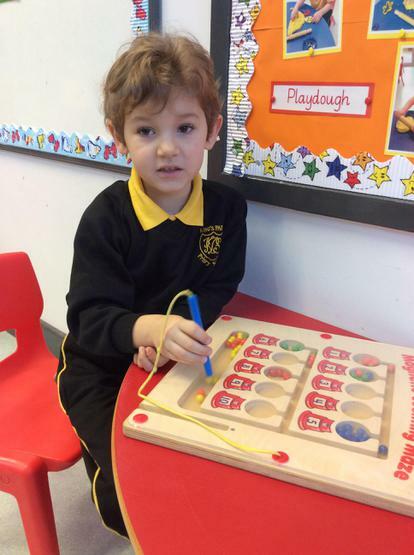 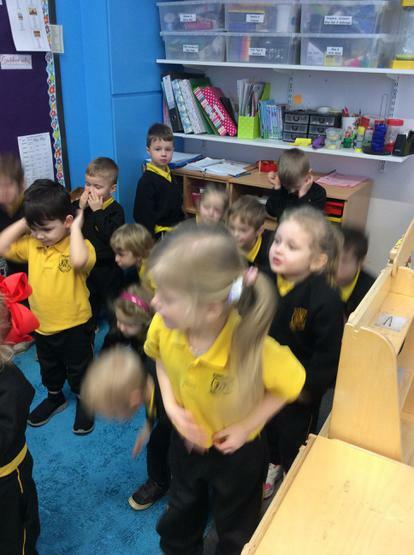 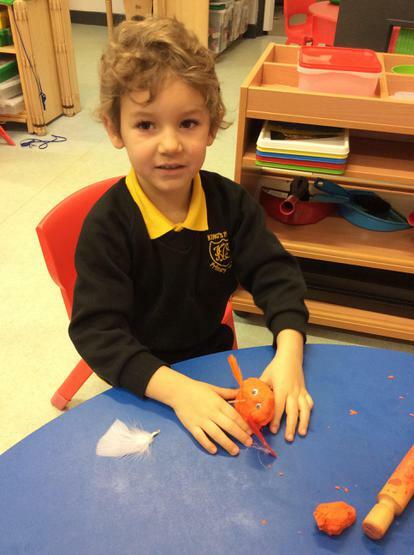 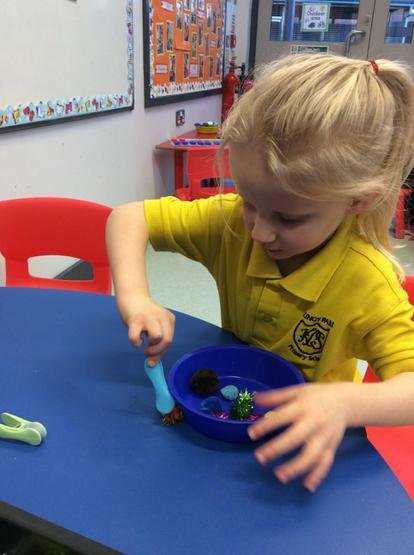 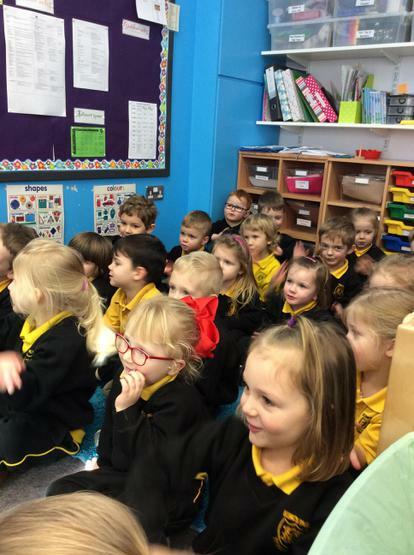 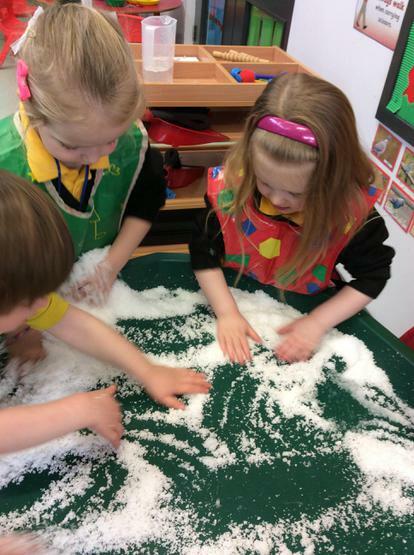 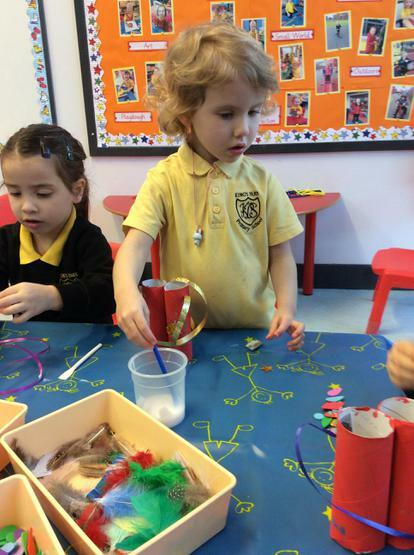 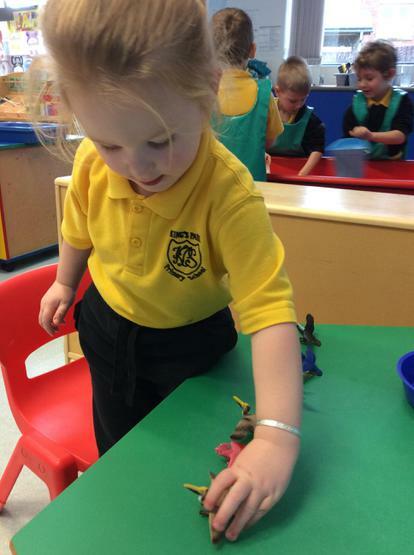 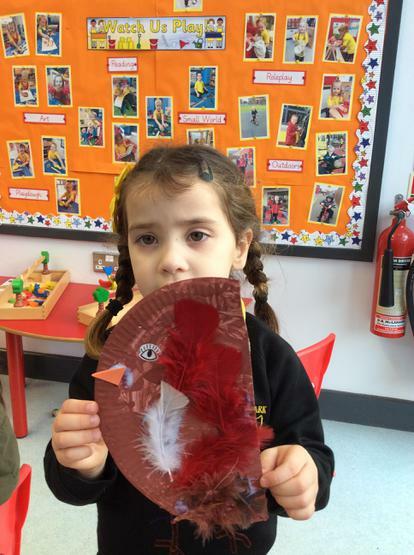 We have been learning about looking after birds in Nursery. 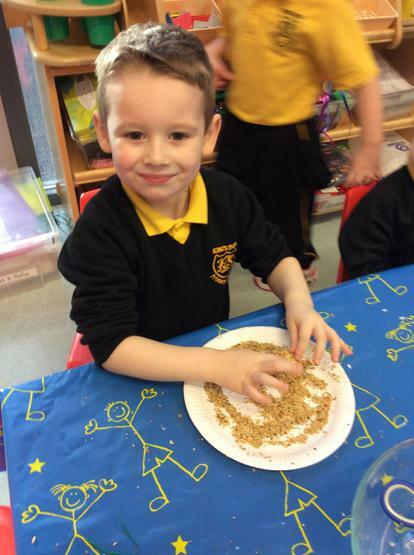 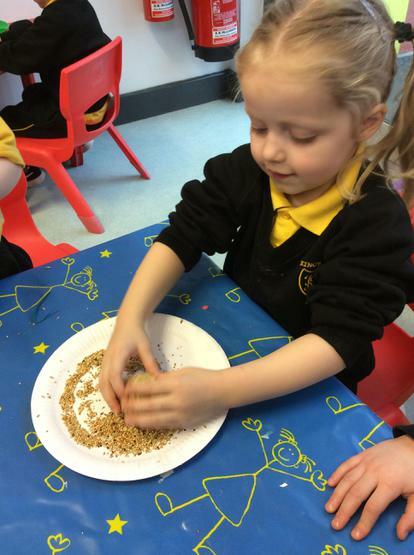 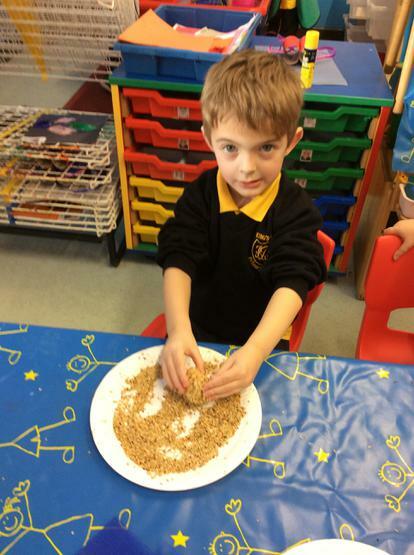 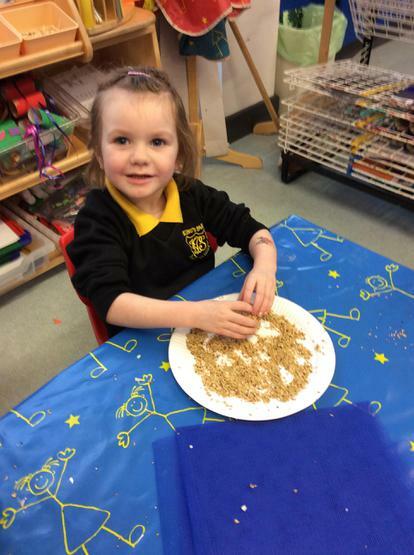 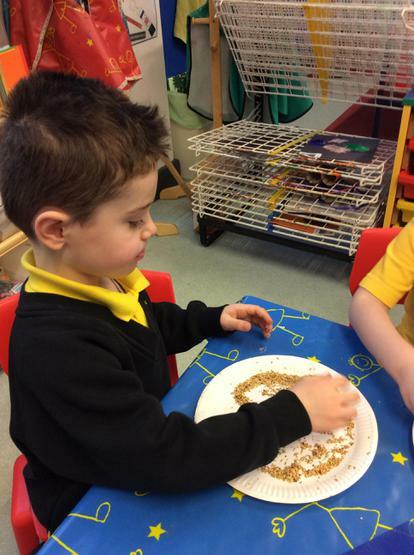 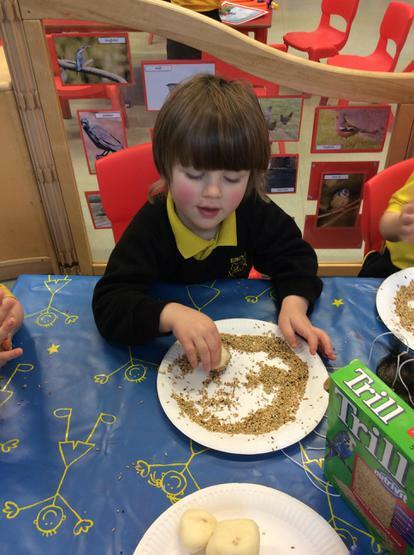 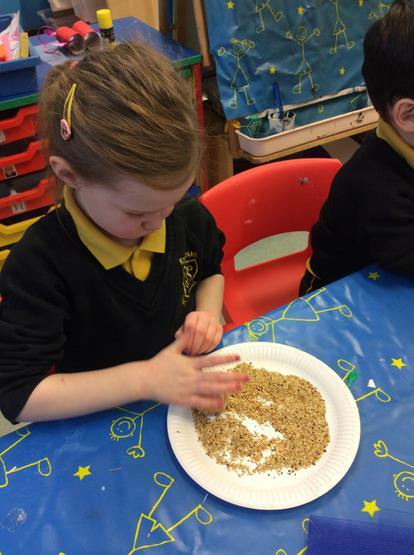 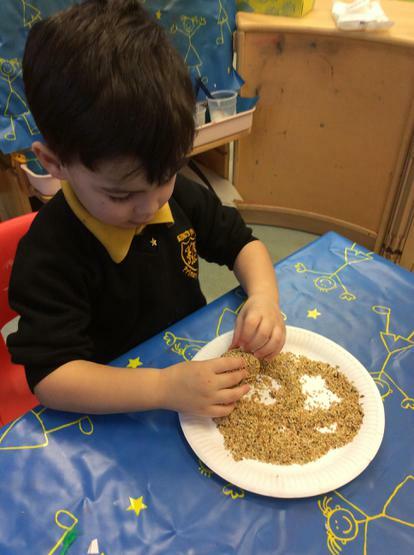 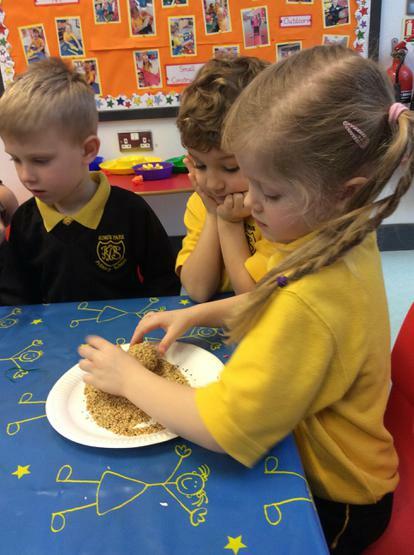 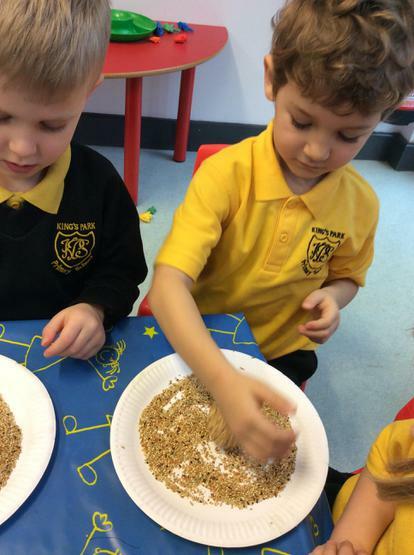 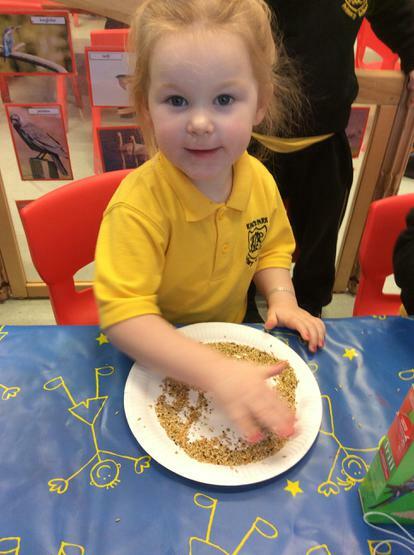 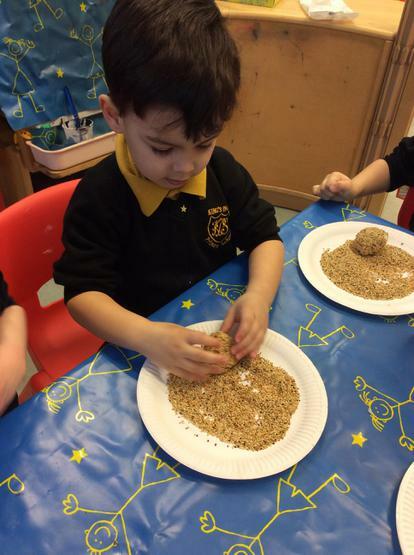 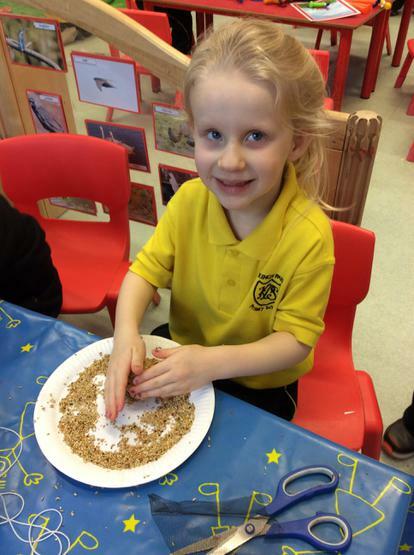 We made bird food for our Nursery outdoor play area to feed some of the birds that visit each day. 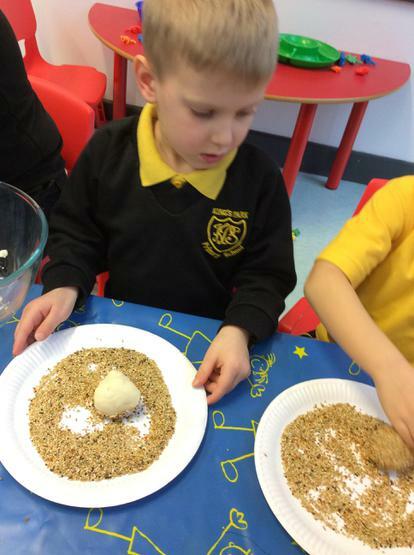 We took turns to roll the lard in to small balls and then we rolled the lard in bird seed. 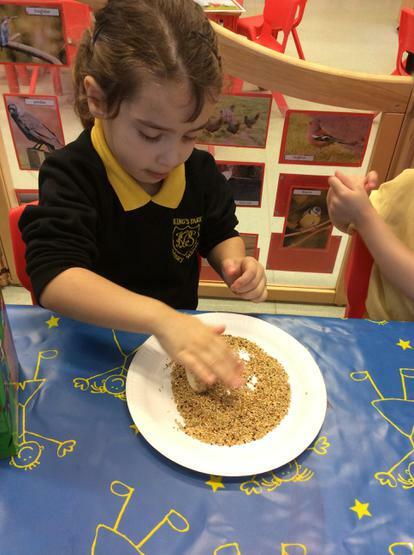 Once the lard had hardened, we then hung the bird food outside on our bird feeding station. 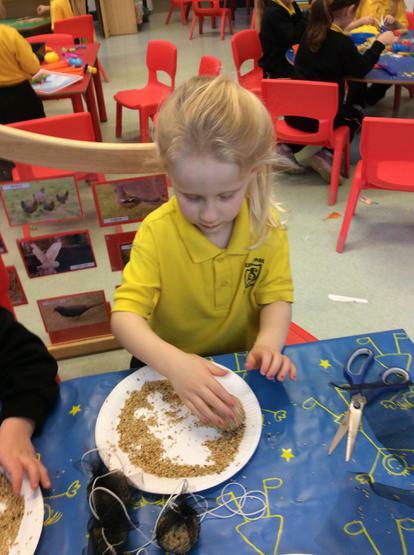 We look forward to watching the birds enjoy their food! 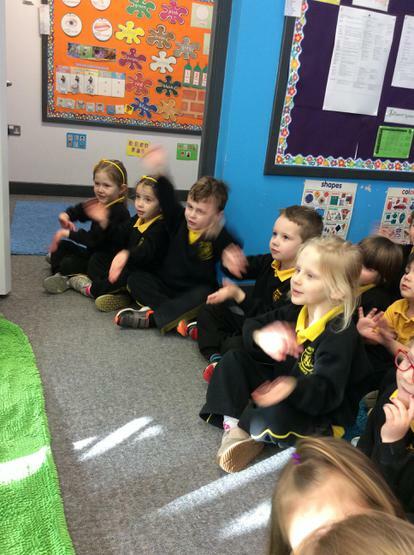 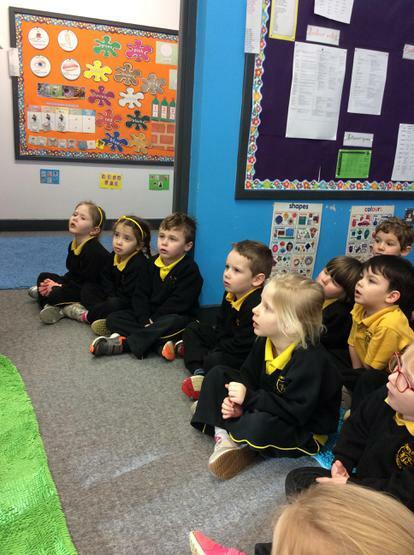 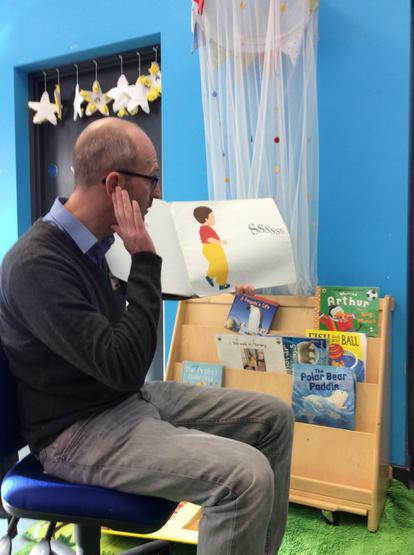 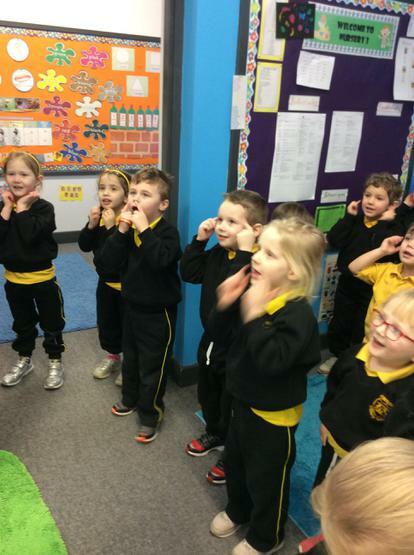 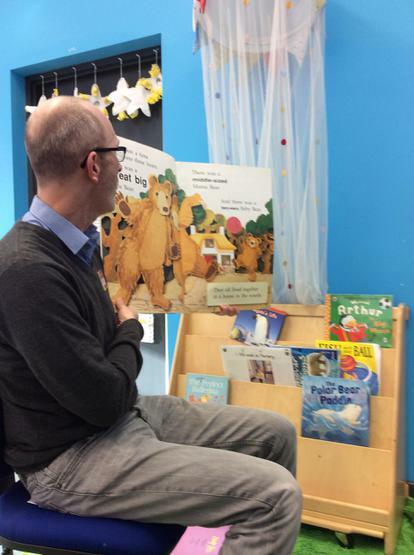 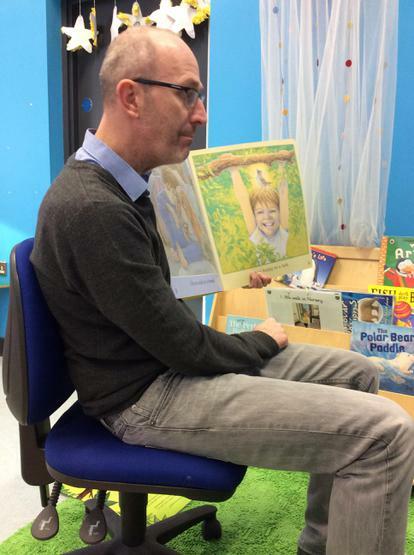 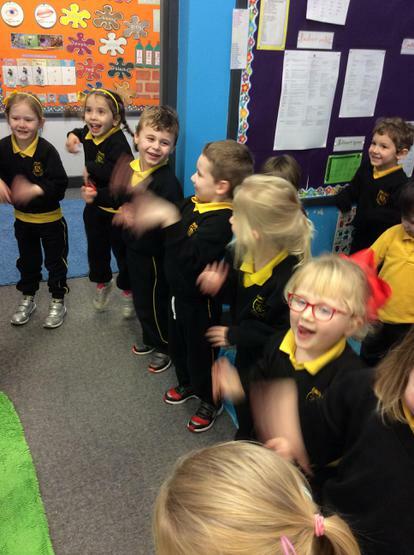 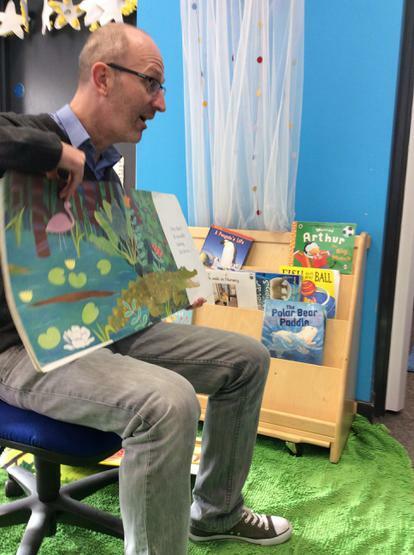 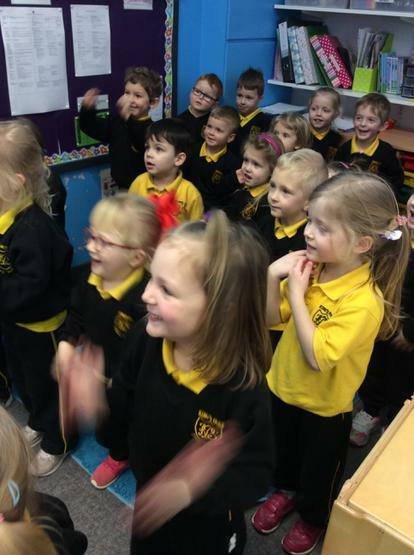 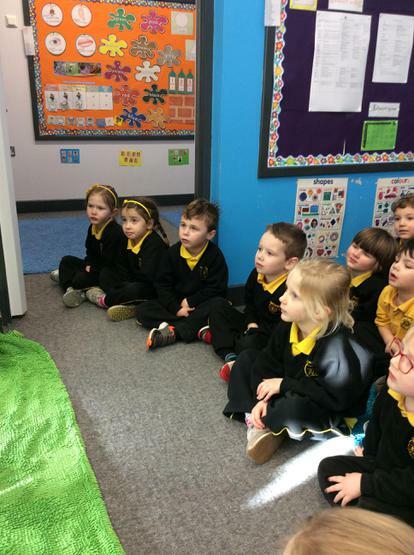 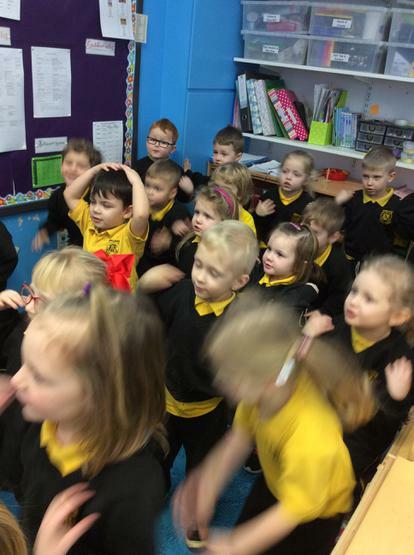 A special visit from the staff from Lurgan Library for some stories, songs and rhymes!